Welcome. 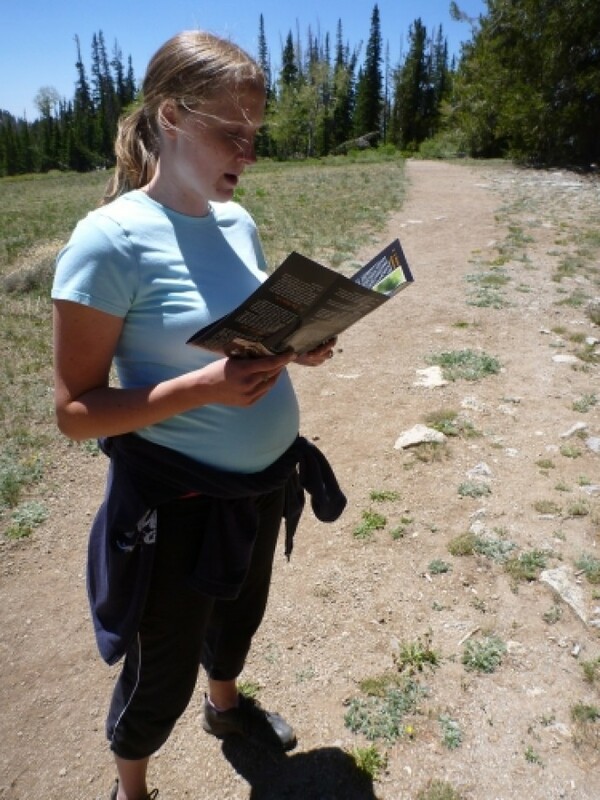 As you walk this trail, this leaflet will help you to understand the relationships between rocks, weather, soil, plants and animals – and how those elements are working together to make Cedar Breaks so special. 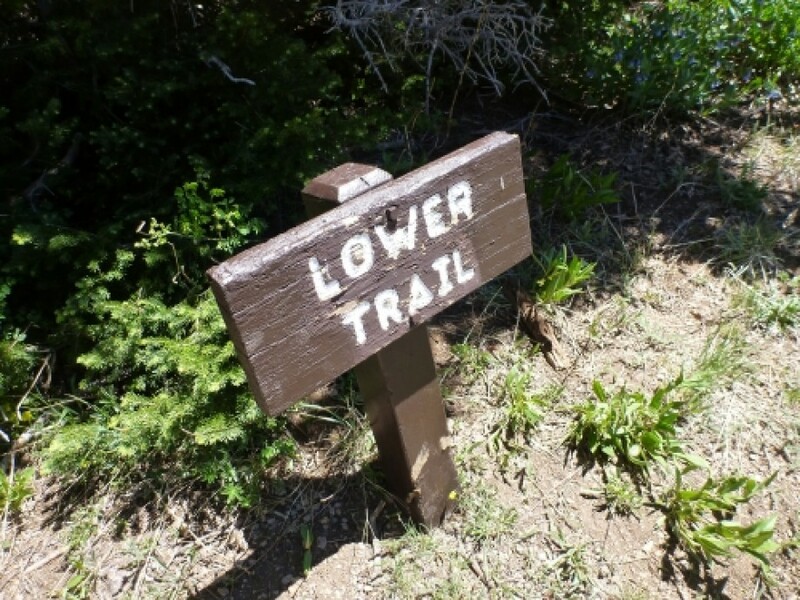 While you are hiking you will join in this ecosystem and become a part of the inter-relationships we will explore in this brochure. 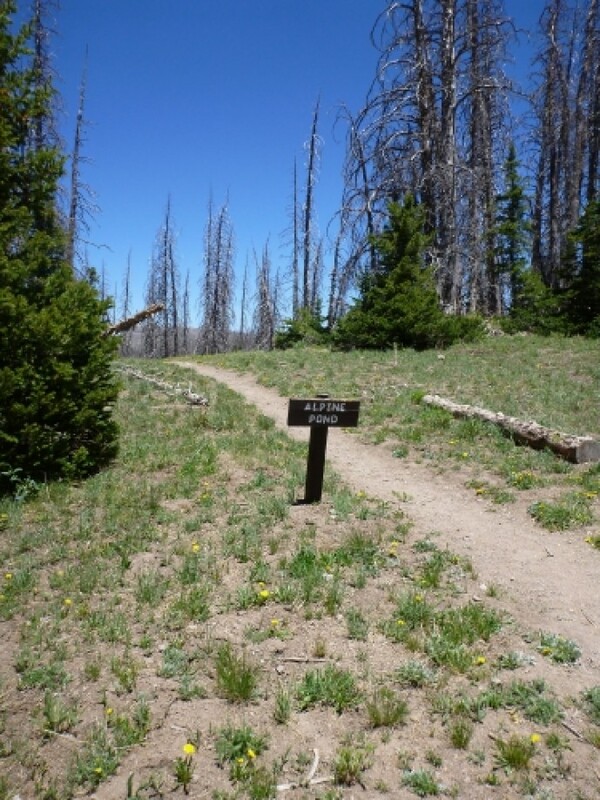 You are entering a subalpine forest, where life is influenced by the high elevation, short cool summers and long winters. 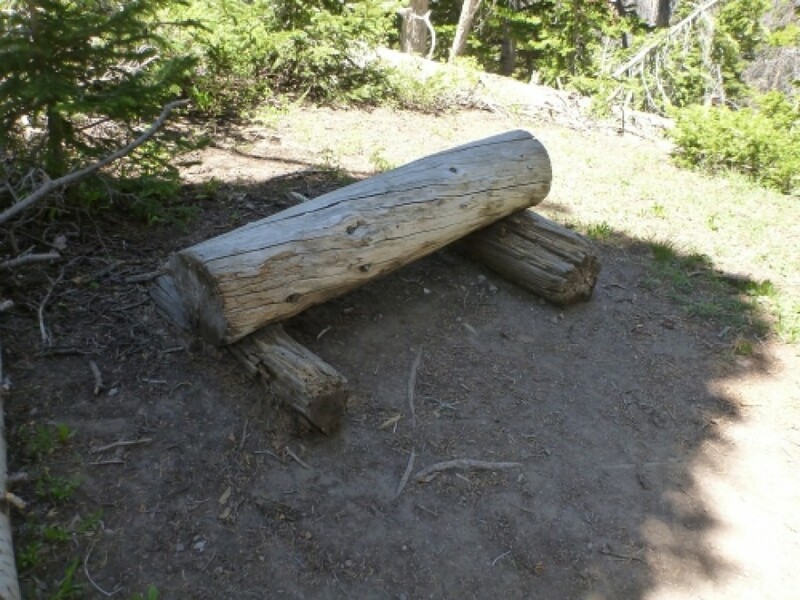 Remember; the next visitors will want to see and enjoy the same things you do. 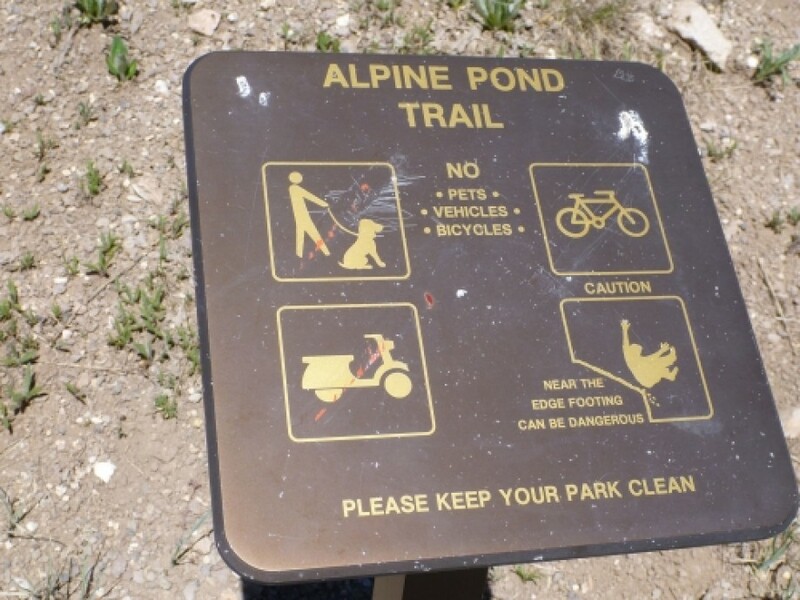 Please stay on the trail, keep the area clean, and do not collect or disturb any rocks, plants or animals. 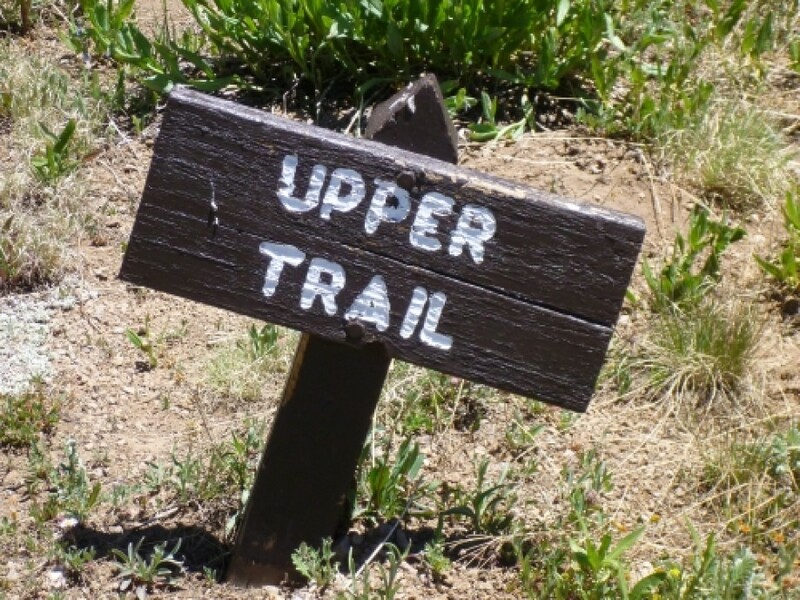 Avoid cliff edges, return to your car during thunderstorms, and watch your children.This guide is keyed to numbered posts along the trail. 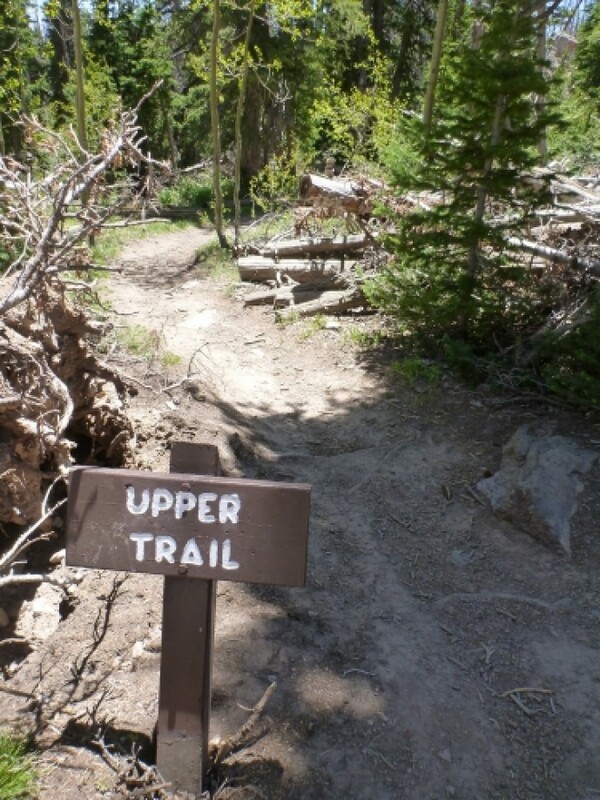 The 3.2 kilometer (2 mile) hike is not difficult, but at an elevation of 3,200 meters (10,000 feet) you may tire quickly. Take your time. Stop frequently. Explore the forest around you with all your senses and absorb the mood of the land.1 – One Day At a TimeLast winter the pink rock in front of you was buried under deep snow. As the snow melted, water entered cracks in the rock. As the water freezes it expands forcing the cracks to widen. With repeated freezing and thawing temperatures, this process slowly breaks the rock apart. 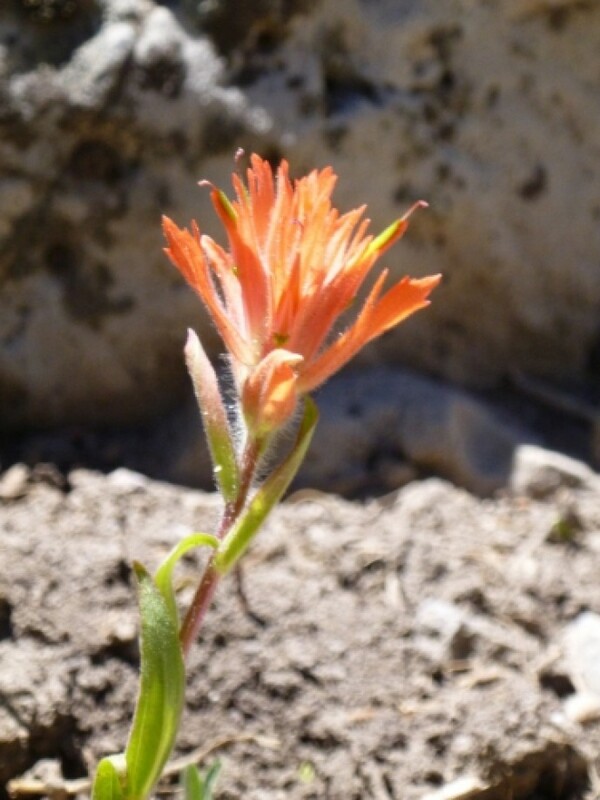 This summer plants are working their roots between the cracks breaking the rock down further. 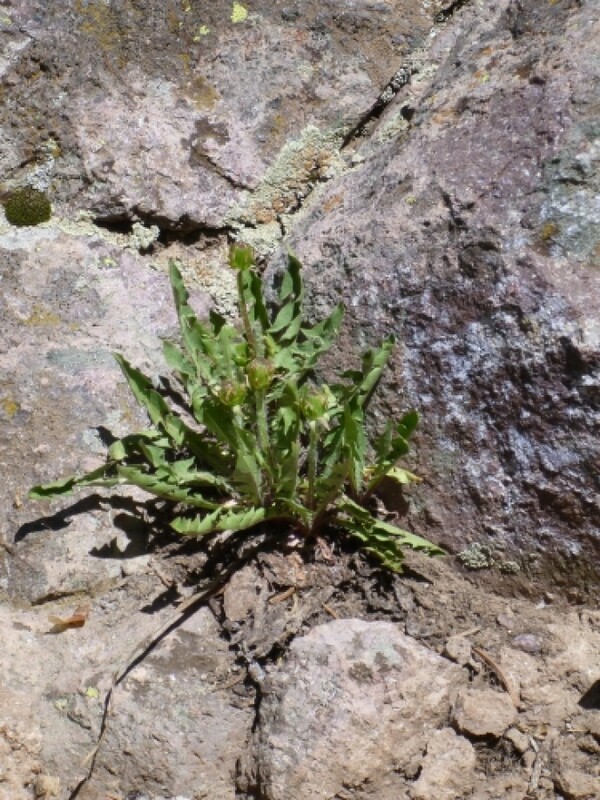 Slowly – daily – weather and plants are working on this rock. 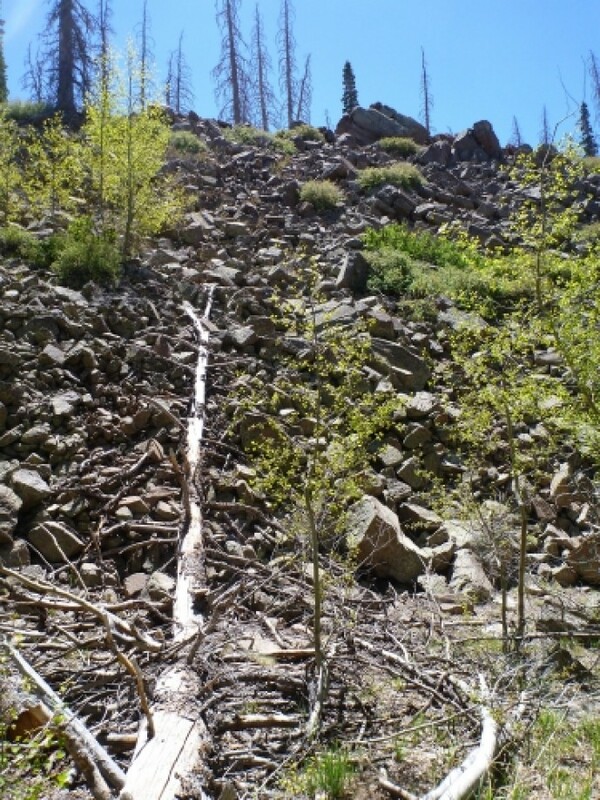 What happens to the rock pieces that are broken off?2 – Rock ApartmentThis rocky slope is nature’s apartment building for marmots, chipmunks, ground squirrels and pikas. 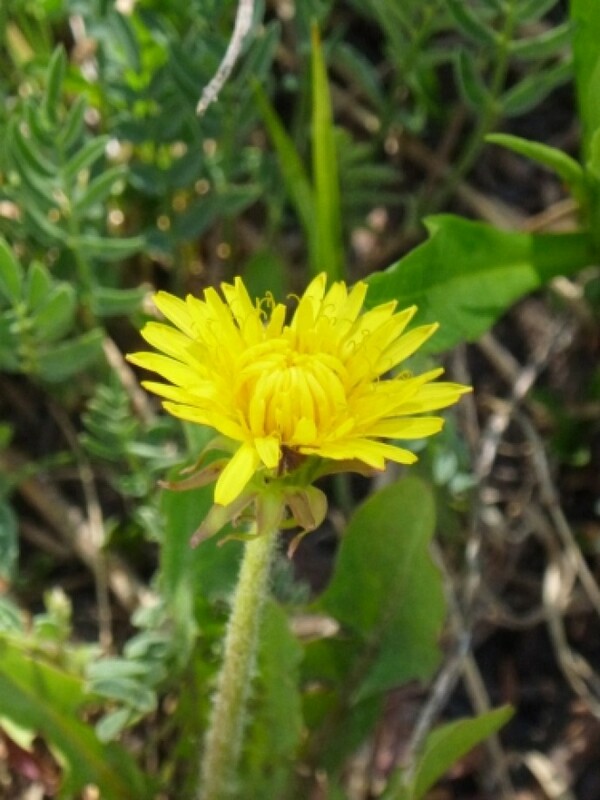 Sit quietly and you may see several of these animals.How do these small mammals live through the long winters? Marmots ear enough food in summer to double their body weight and then live entirely off their fat as they sleep (hibernate) through the winter. Chipmunks and ground squirrels hibernate most of the winter, waking up periodically to eat food they have stored. 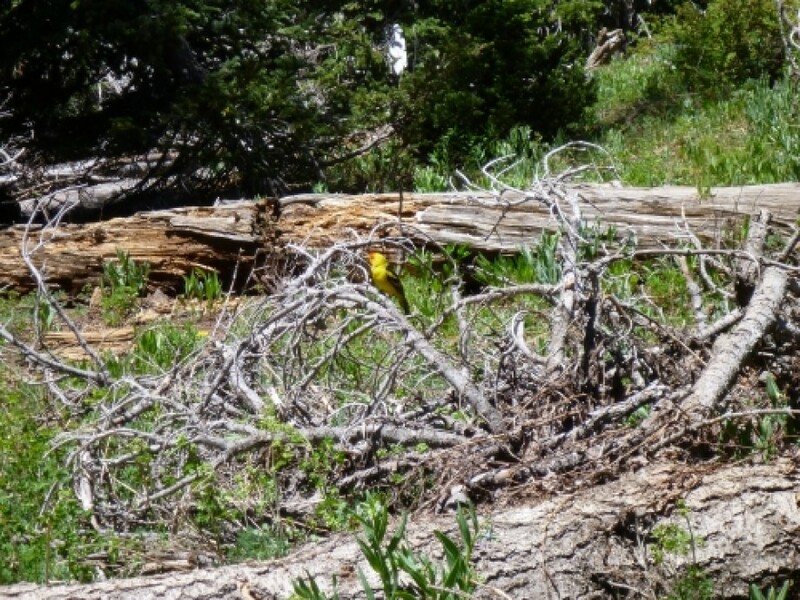 Pikas (pronounced PIE-kas) do not hibernate at all. In the summer these “hay-makers” lay out cut grass to dry and then store it under a rock. Throughout the winter they are active beneath the deep snow blanket, feeding on their hay piles. 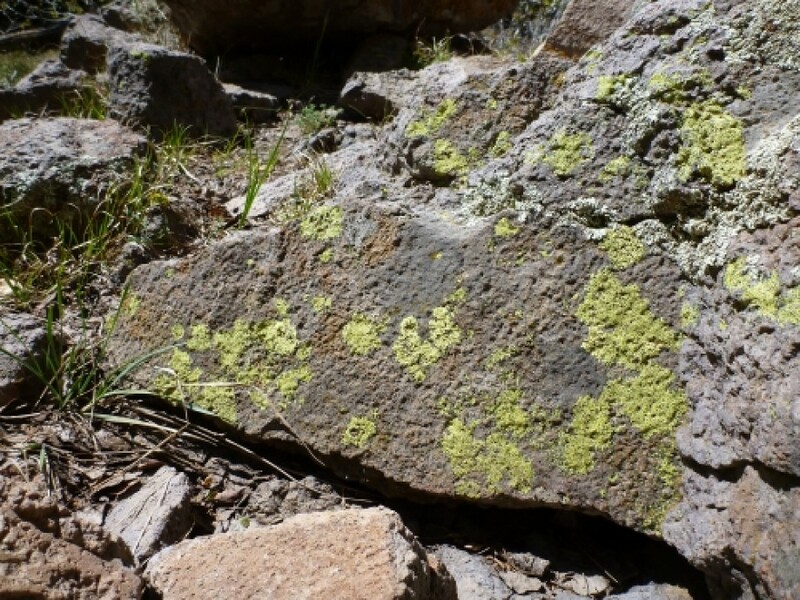 Aren’t you glad you don’t have to spend seven months under a snowbank each year?3 – LichensThe crusty green, gray and orange coatings on these rocks are lichens (pronounced LIE-kens). 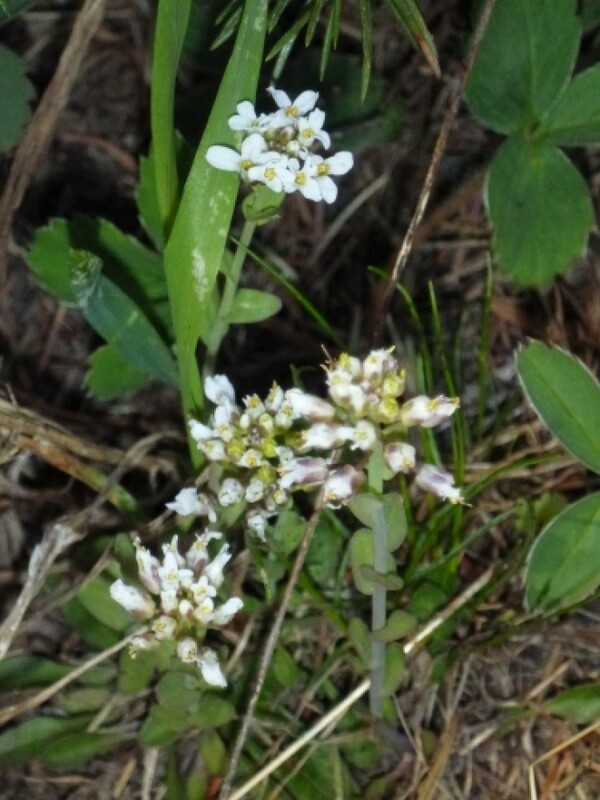 Lichens are actually composed of two tiny organisms from the fungi and algae groups. 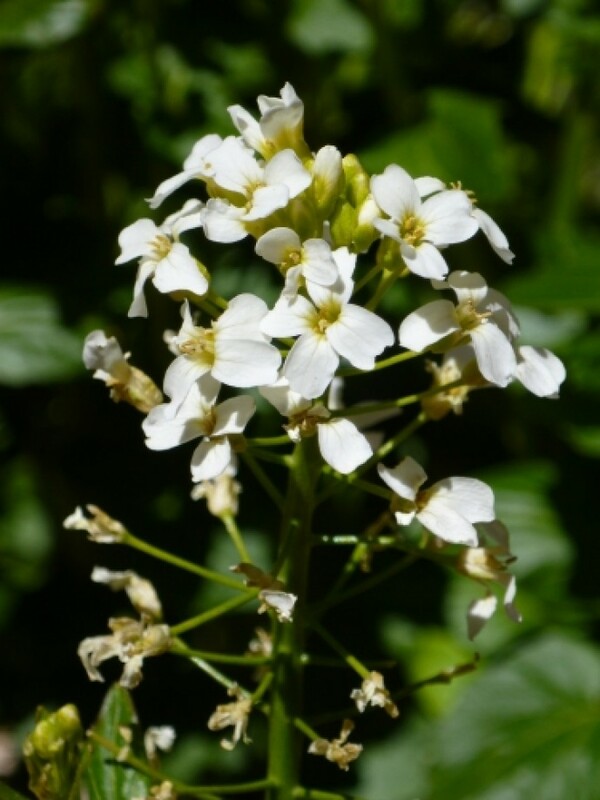 These organisms grow in a symbiotic (mutually beneficial) relationship. The fungi absorbs water and provides an anchor to the rock. The algae manufactures enough food for both organisms.When lichens grow, they produce weak acids which help dissolve the rock. These acids are one of the many forces transforming rock into soil. 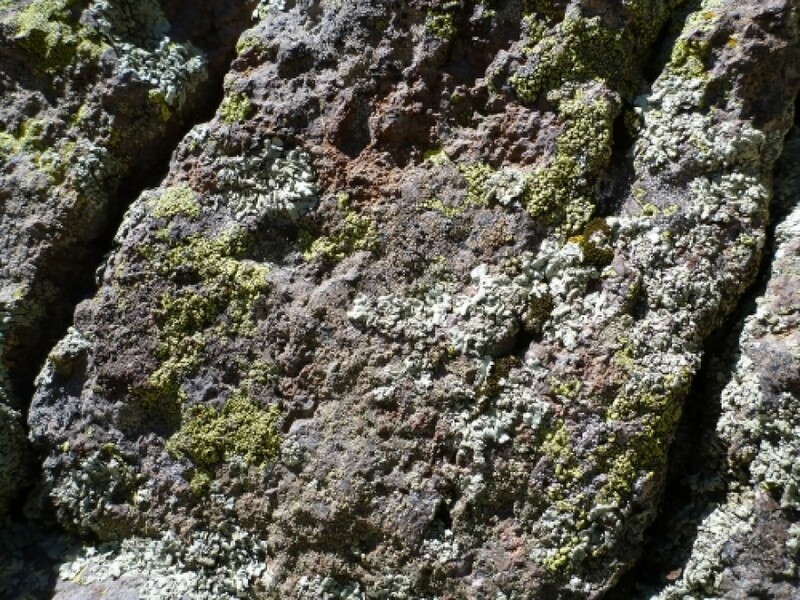 How many types of lichen can you find on these rocks?4 – From Rocks to TreesAs lichens break down the rock, tiny bits of mineral material mixed with pieces of dead lichen form soil that allows other plants to grow. 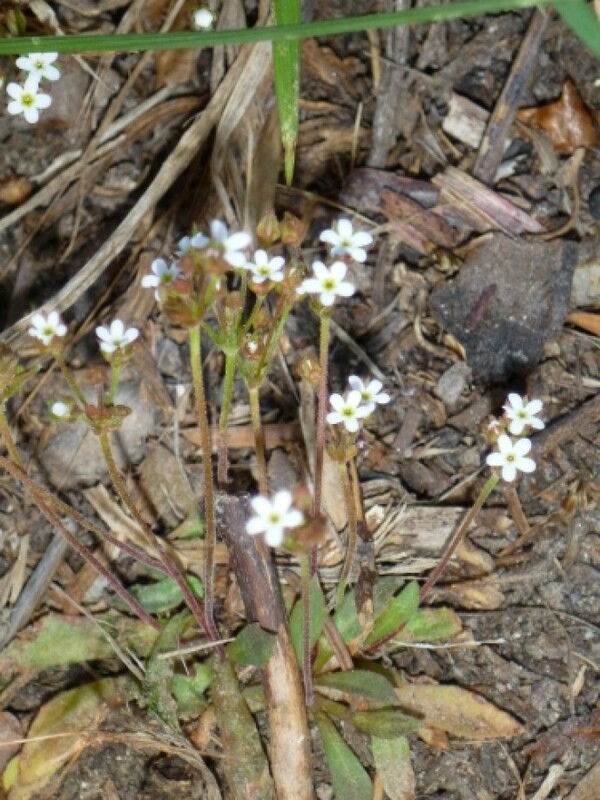 Mosses, grasses and flowers have found footholds in this soil on the rock in front of you. 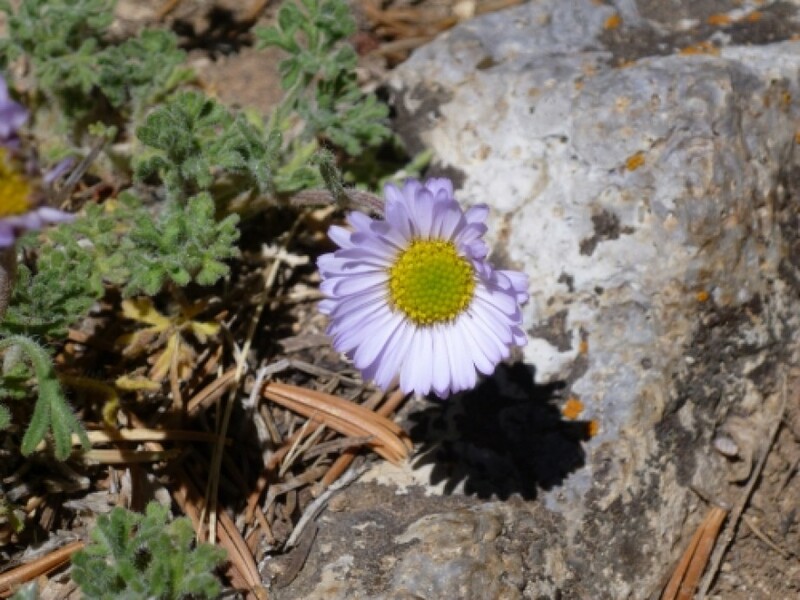 As these plants die and the rock crumbles further, more soil is made. 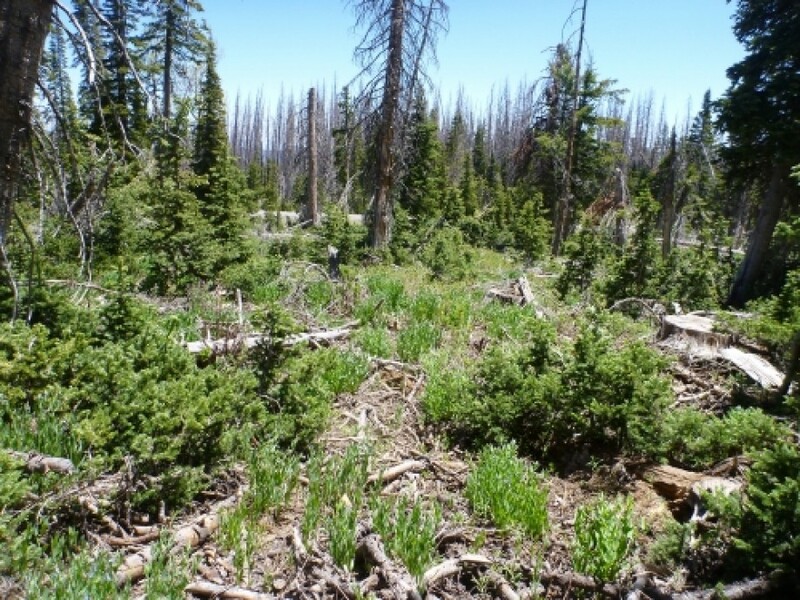 Eventually a thriving forest will be located here. 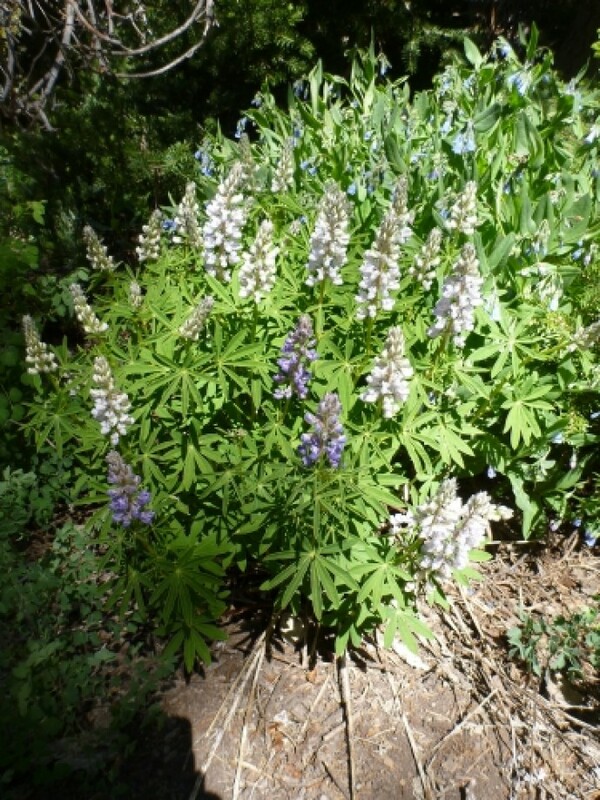 This gradual change, from lichens colonizing rocks to a mature forest, is called succession.5 – A WolfOne of Cedar Breaks’ common summer flowers is the lupine. 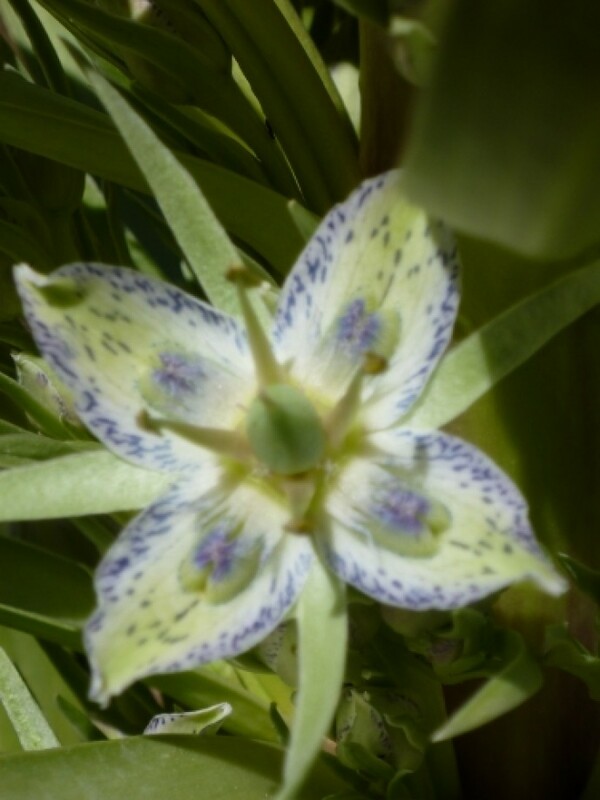 It has a dense stalk of blue flowers and distinctive finger-like leaves. 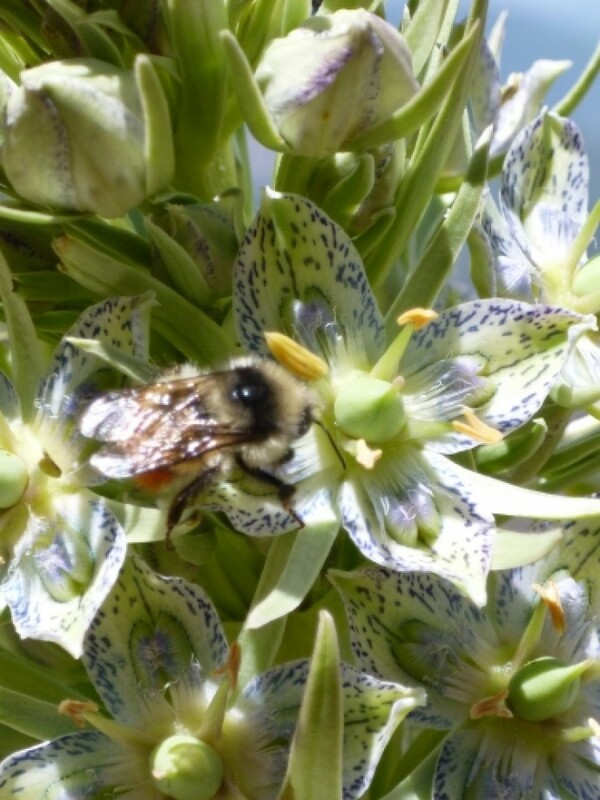 After blooming, the blossoms give way to fuzzy seed pods.The name lupine comes from the Latin word lupis, meaning “wolf.” Lupines were once believed to be wolf-like, devouring soil nutrients. Exactly the opposite is true. 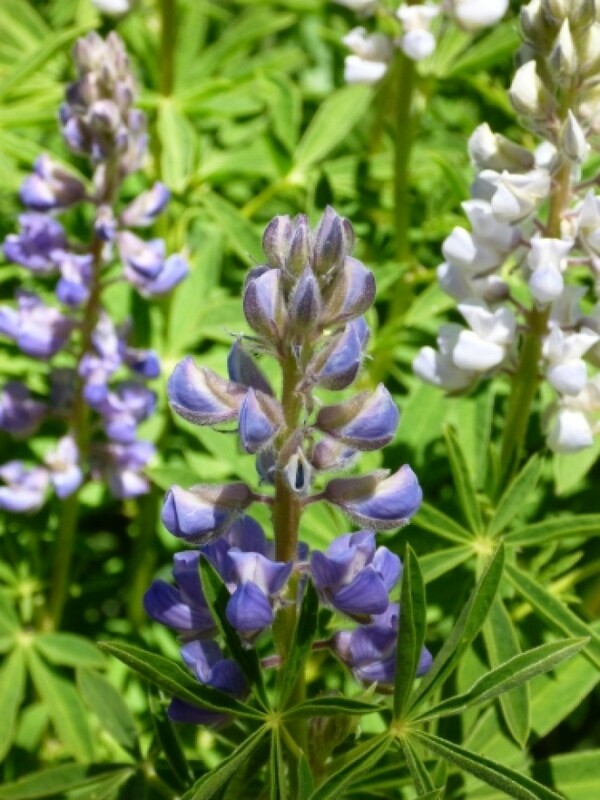 Special bacteria on the lupine’s root nodules release nitrogen into the soil, enriching it for other plants. 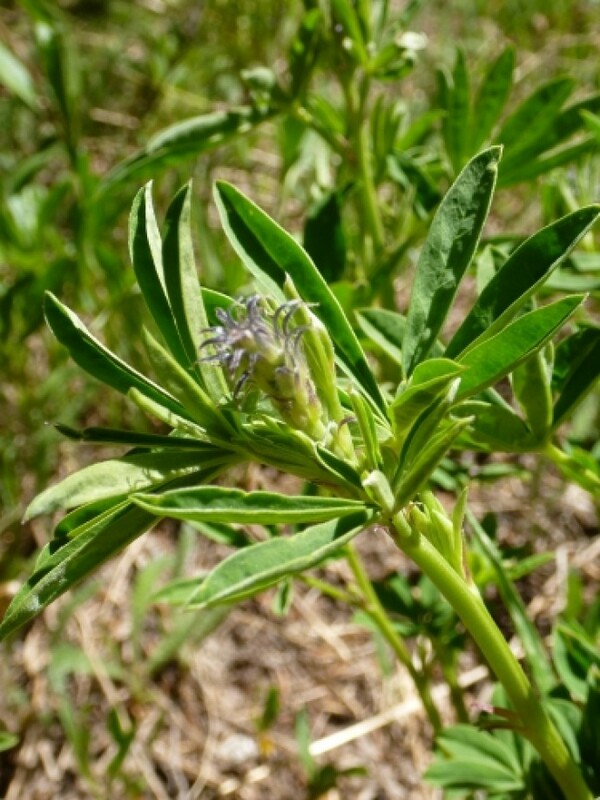 Many farmers use a closely related plant, clover, to improve the level of nitrogen in crop soils.6 – It’s All RecycledDead trees aren’t removed from a National Park or Monument because of the important role they play in the forest ecosystem. 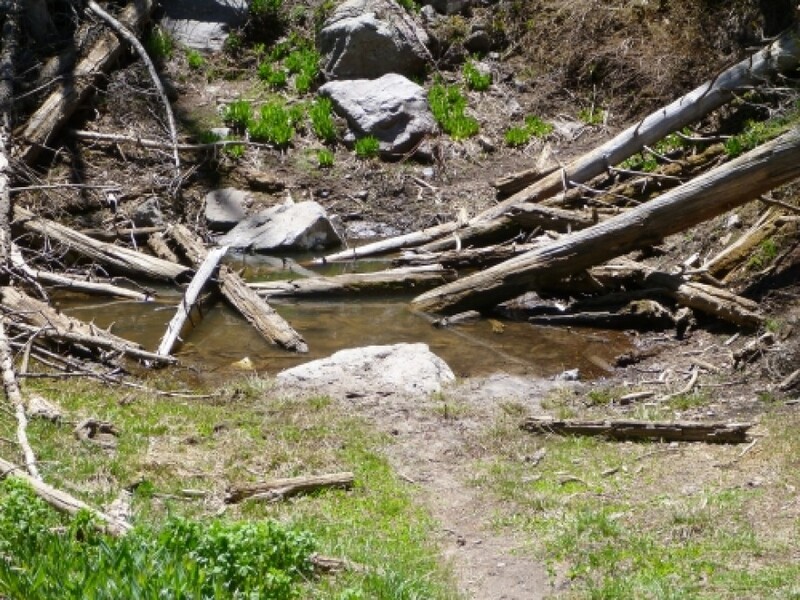 When a tree dies it starts to decay from a variety of processes, such as wood-chewing ants and beetles and wood decaying fungi. The tree returns the nutrients it gathered during its lifetime back to the ground. 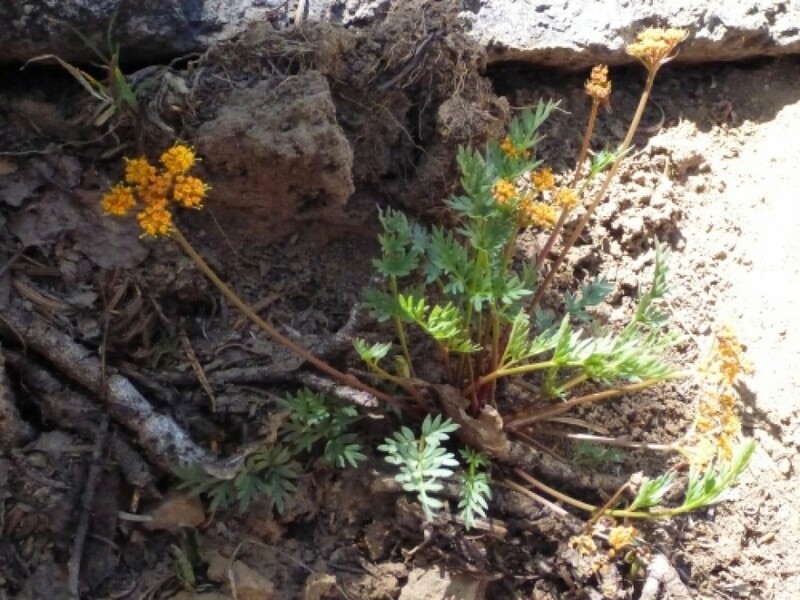 Eventually, a fertile soil is formed where new plants can grow. 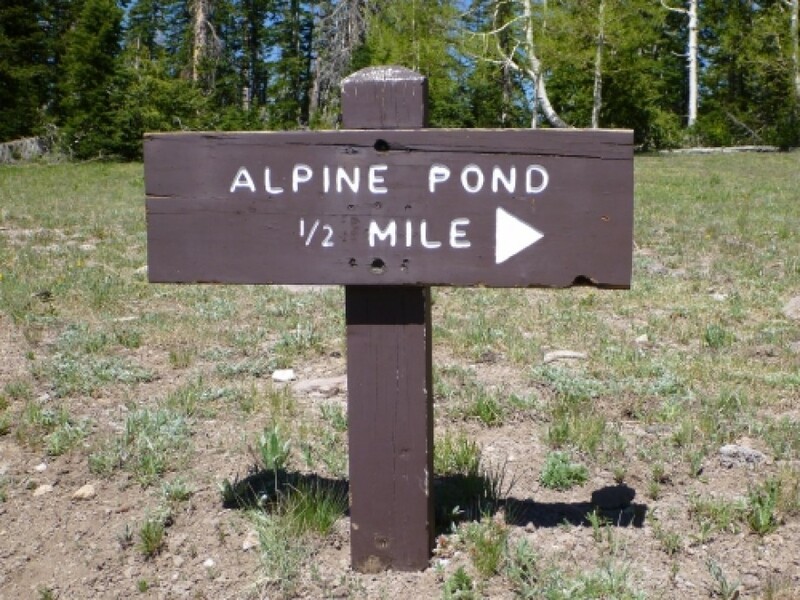 Nothing in nature is wasted.7 – Alpine PondSurrounded by meadows and forests, Alpine Pond is an active are. 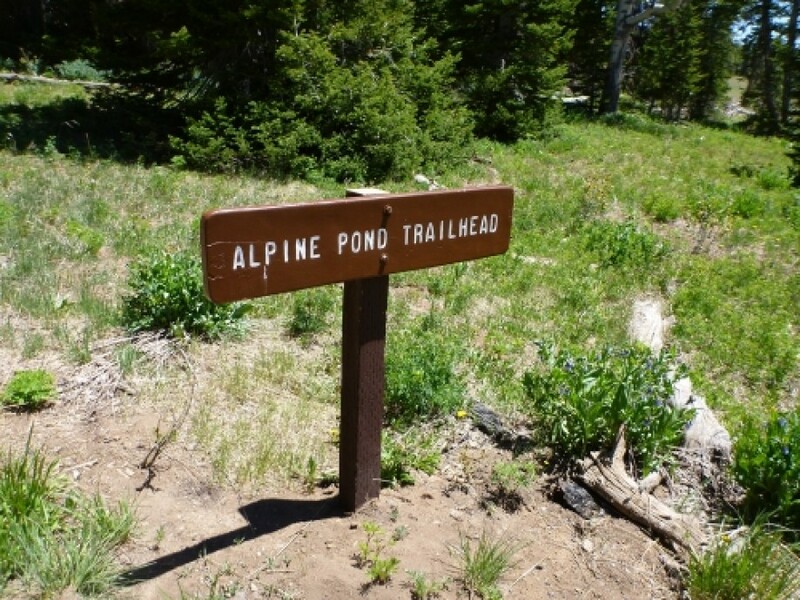 Because it is a source of water, and has lush vegetation, the pond is a focal point of activity for wildlife. 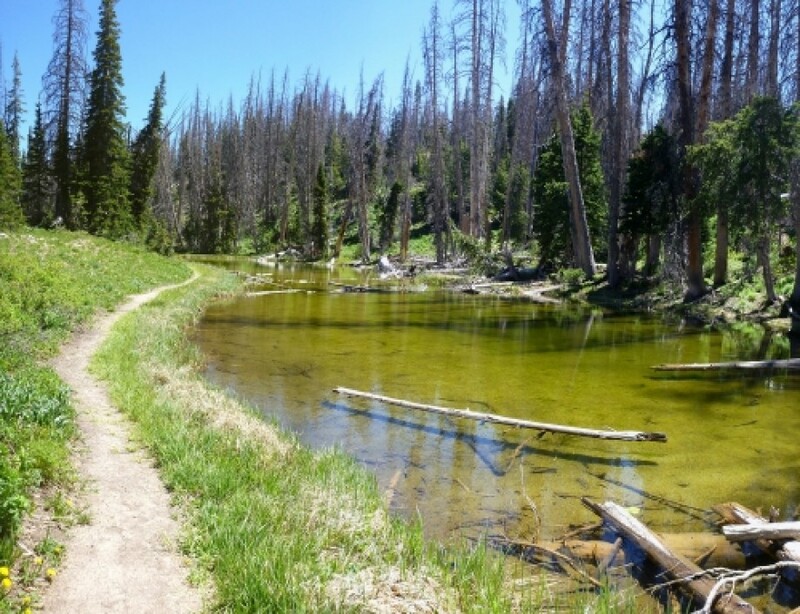 Look for water bugs skittering on the surface, insects pollinating flowers, and tracks showing where animals had their nightly drink, or stalked their prey.Water enters Alpine Pond from a spring. 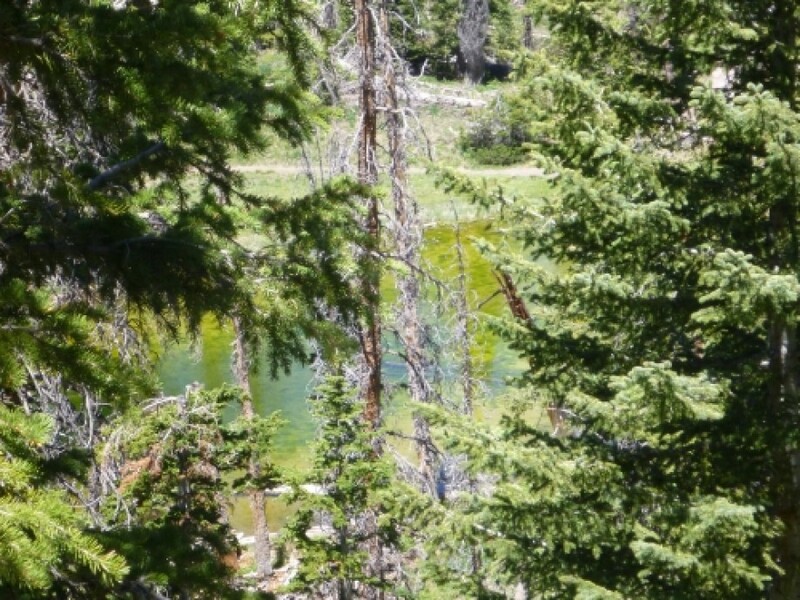 Can you hear the water leaving the pond? 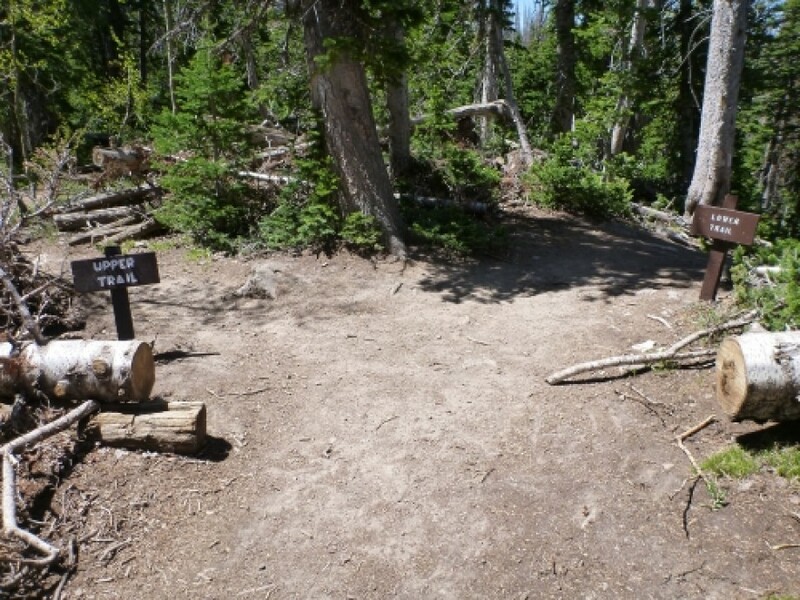 It flows through the Cedar Breaks amphitheater and out to the Great Basin desert to the west.8 – A Beetle EpidemicNotice the dead trees in this area. 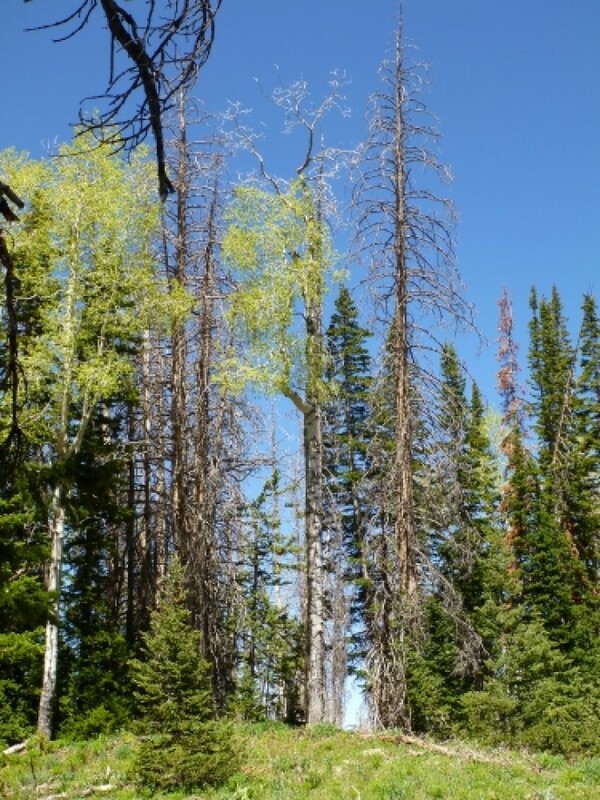 Many of the large spruce trees were killed during a major bark beetle outbreak in the mid-1990’s. 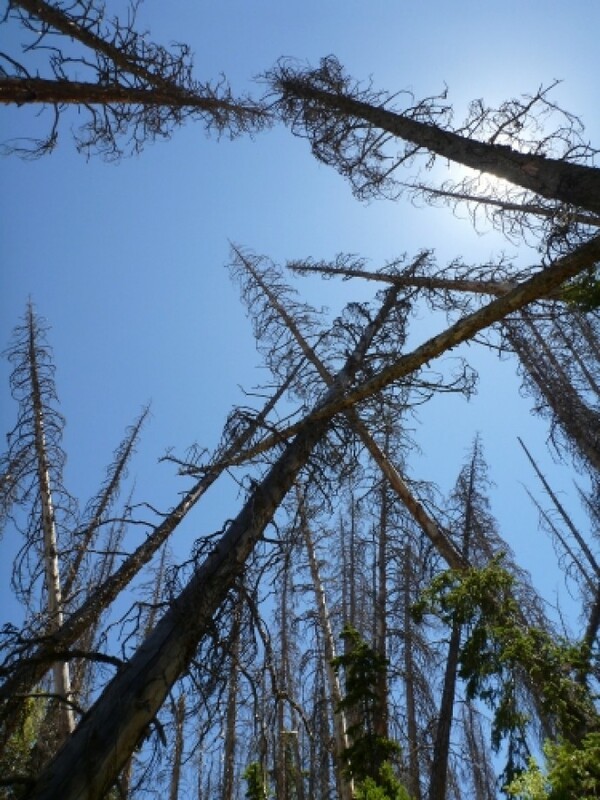 Insects, diseases, fires and windstorms are some of nature’s forces that can change a forest quickly. 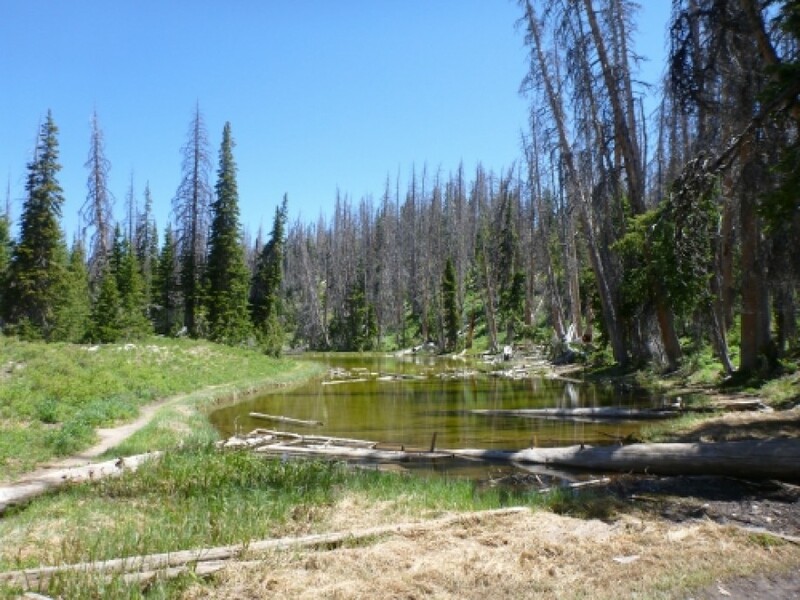 By killing the older trees, the beetles have made room for a new forest to grow. 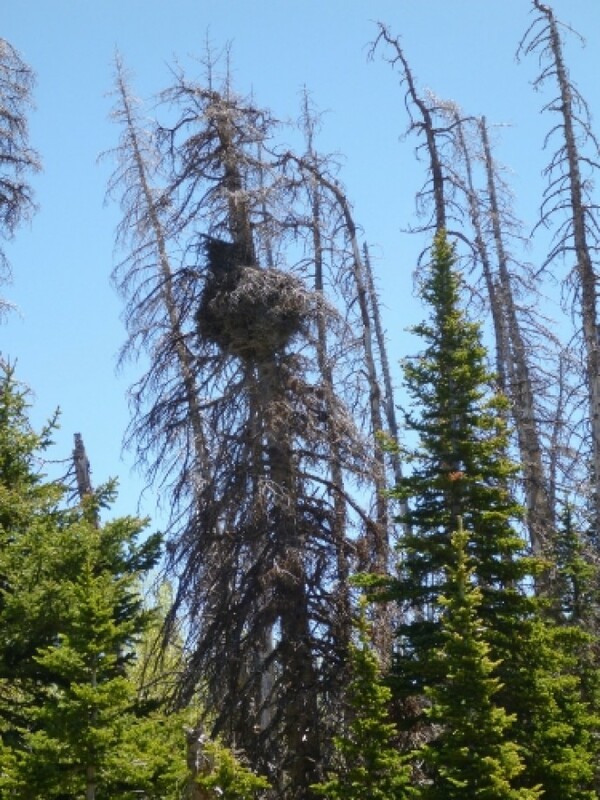 But it may take more than 100 years to regrow the mature spruce forest.A forest is a community containing a diversity of plants and animals that interact with each other and their environment. We are still learning about the complex relationships between the members of this forest community. 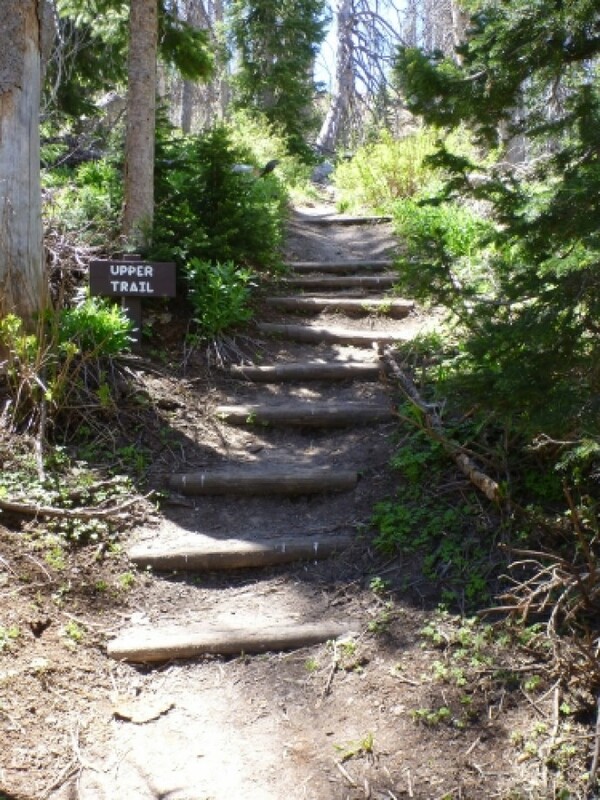 Protected areas such as National Parks and Monuments provide opportunities for scientific studies that help us understand how nature works.9 – The AmphitheaterCedar Breaks was established as a National Monument because of the scenic beauty of the amphitheater in front of you. 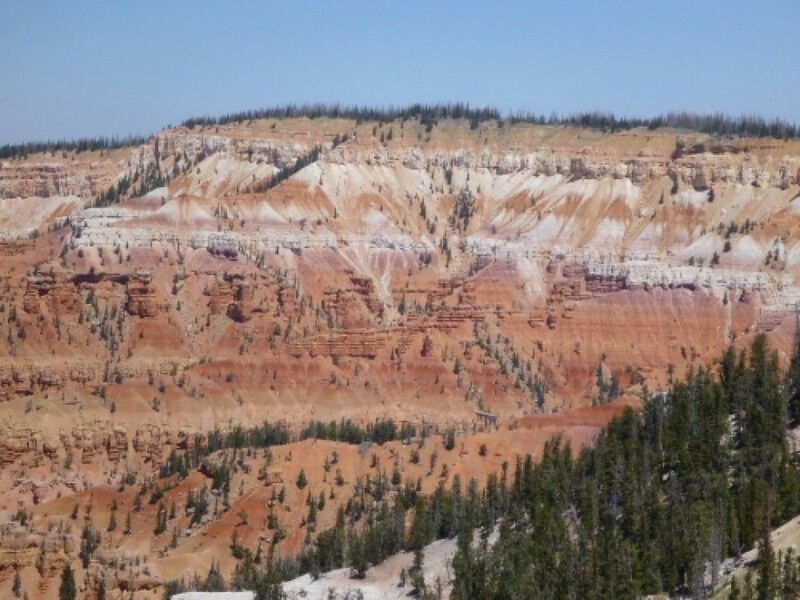 The red and white rock layers are composed of limestone, shale, and sandstone. Fossils within the rock help tell the story of an ancient lake located here about 55 million years ago. 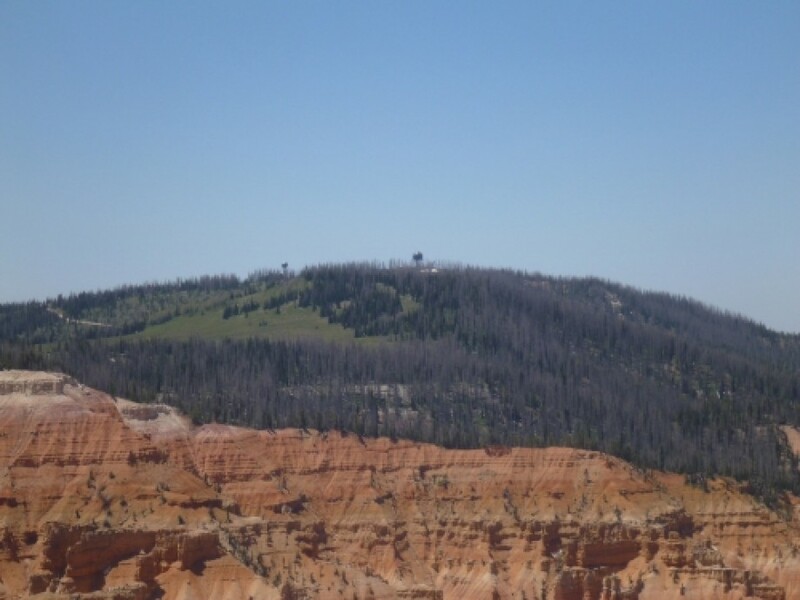 At that time, Cedar Breaks was the lowest, not the highest, area around. Sediments collected in the lake in layers. The area was later uplifted to its present elevation. Nature, using water, wind and ice for tools, has slowly carved the amphitheater you see today.10 – SinkholeThe pit located here is called a sinkhole. 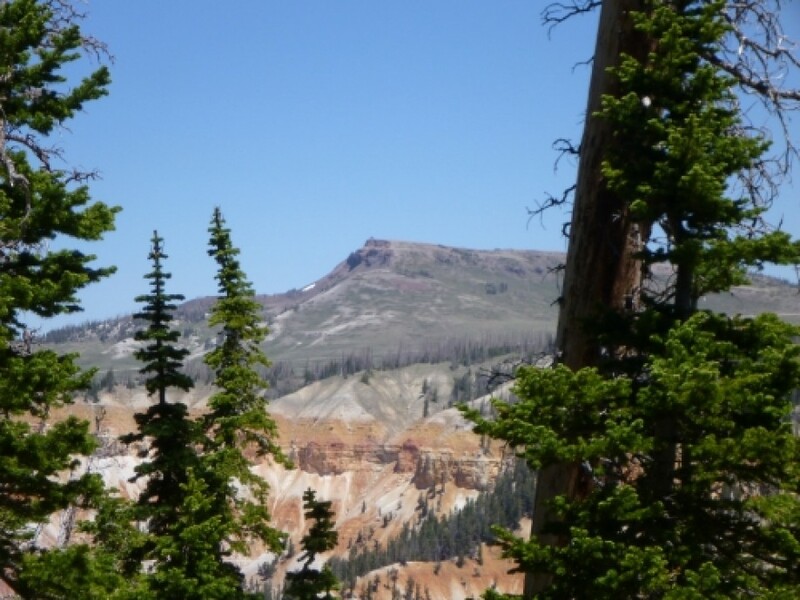 The upper rock layers at Cedar Breaks are primarily limestone. Limestone is soluble in water. As water dissolves the rock and carries it away, a tunnel (cave) or depression can form. If the overlying soil sinks into the tunnel, a sinkhole is created. Sinkholes and caves may be found wherever limestone is present.11 – Brian HeadThe mountain on the horizon is named Brian Head. 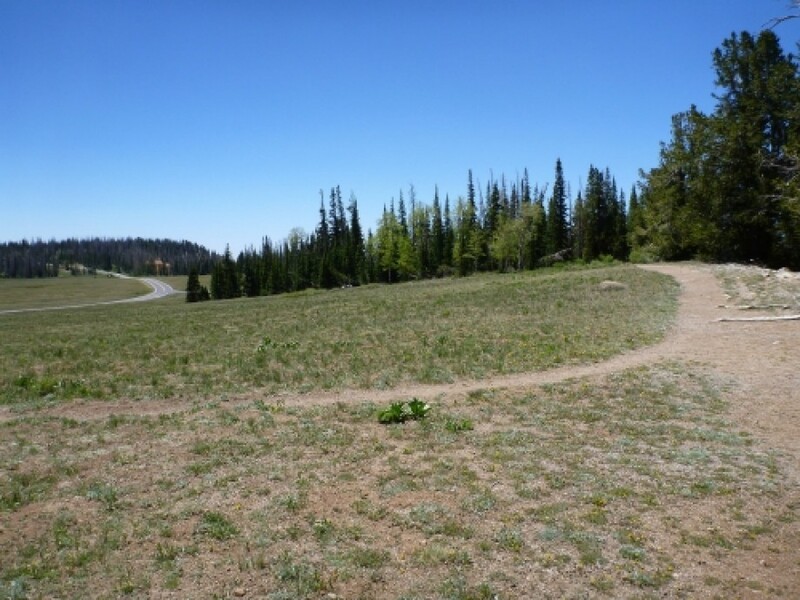 Although Brian Head is not a volcano, the prominent cliffs at the top of the peak are composed of volcanic rock. This rock was formed during numerous, violent, volcanic explosions about 28 million years ago. 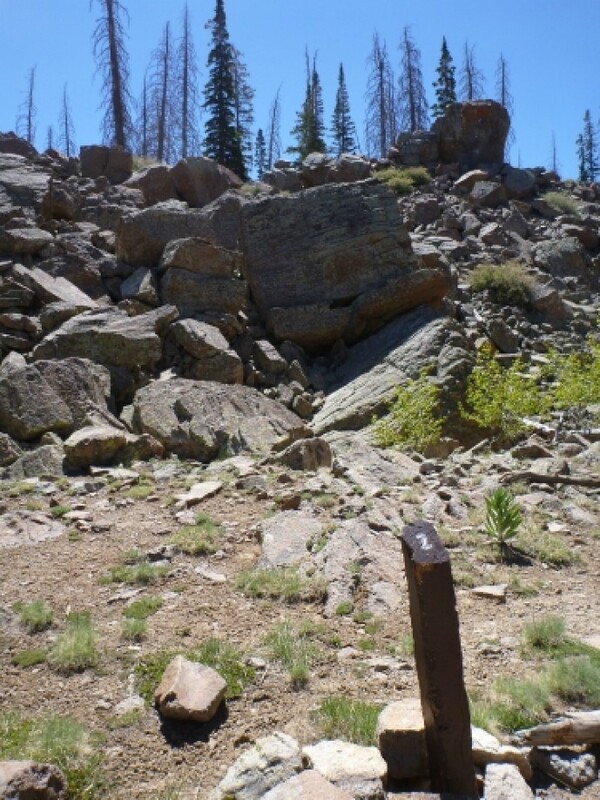 You will get a close look at this rock ahead at Station 24.Can you see trees on Brian Head peak? 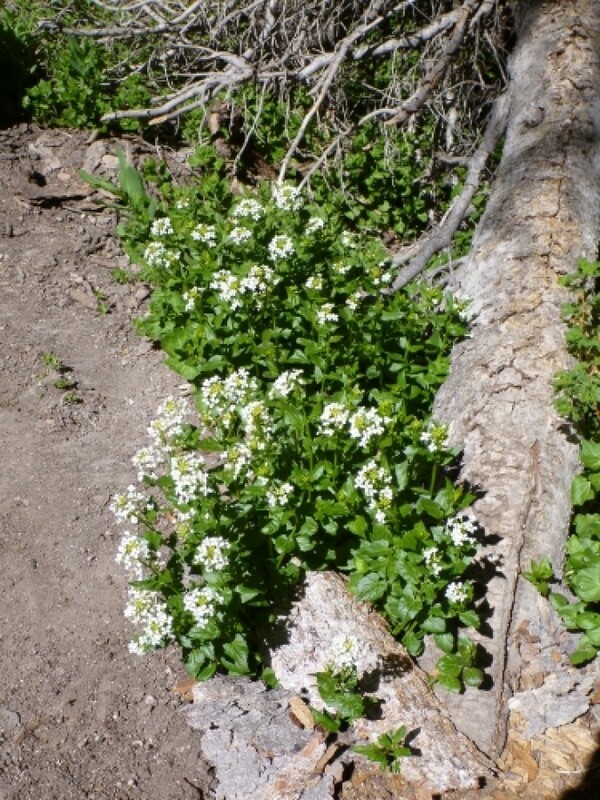 The mountain’s summit is an alpine habitat, an area where conditions are too severe for trees to grow. 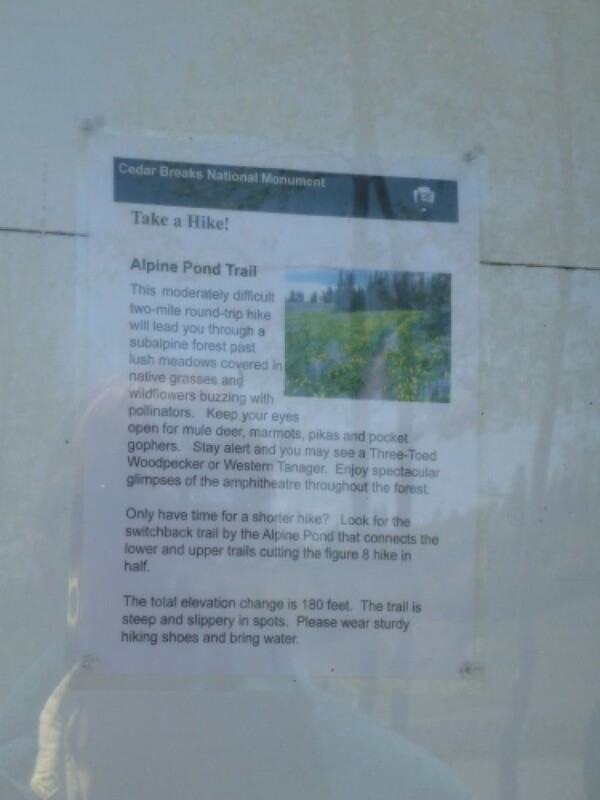 The forest you walk through now is a subalpine area. 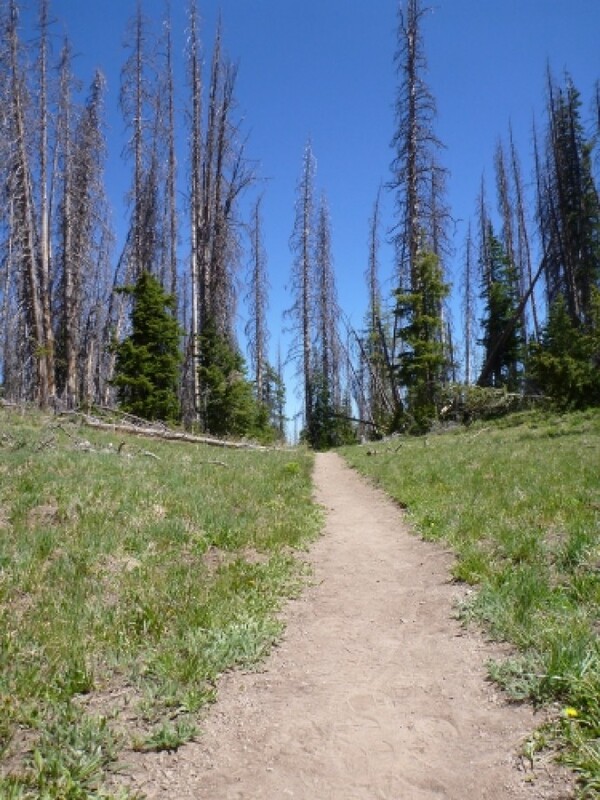 Subalpine means “below the alpine.” The most common trees here are subalpine fir and Englemann spruce. 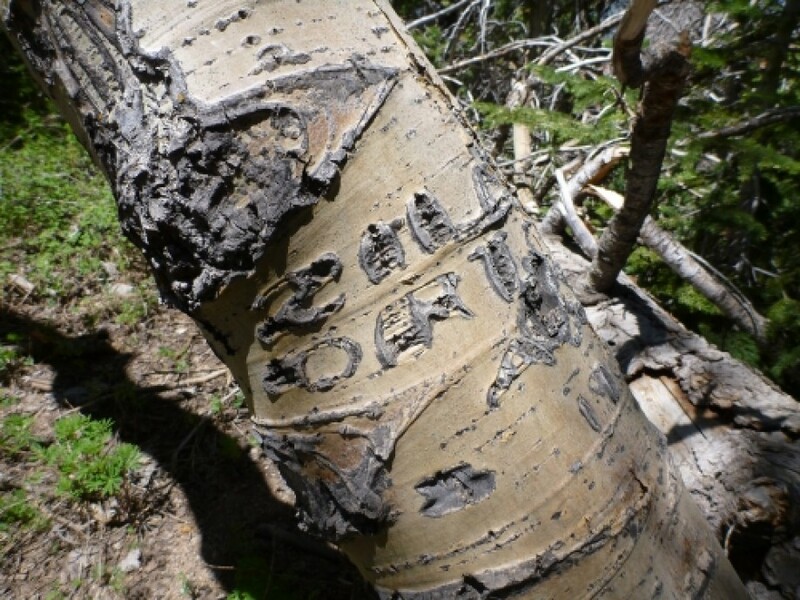 You will learn to identify these trees at Station 20.12 – Nature’s ToolsNature, a patient artist, has taken millions of years to sculpt and paint the scenery at Cedar Breaks. The freezing and thawing of water breaks up the rock, pounding rain and wind blown grit sand off the sharp edges, and water and wind carry away bits of rock. Although these forces work daily, their progress is slow. Very little change occurs in a human lifetime.Calcite, the mineral that makes up limestone, is colorless. 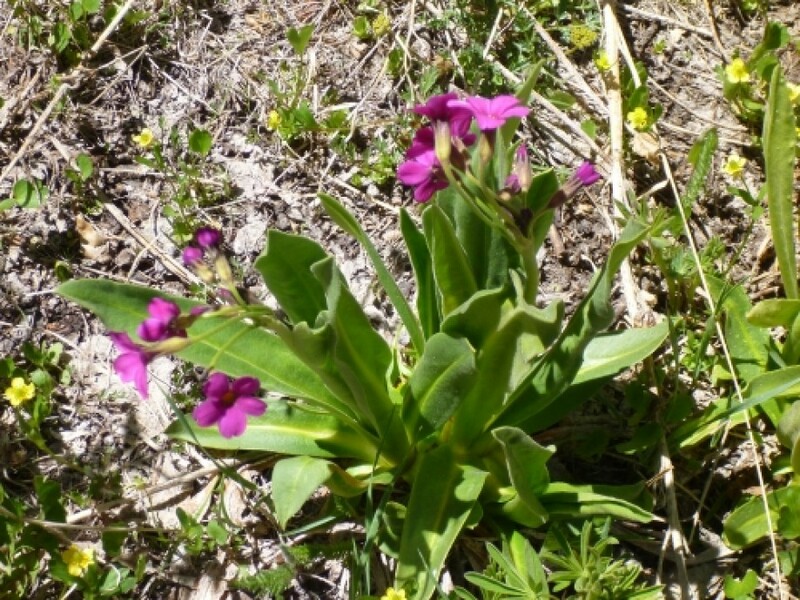 Color in the rocks comes from minerals that are present in small amounts. Iron oxide, the chemical forming rust, contributes most of the colors here. Various forms of iron oxide create reds, yellows and oranges. 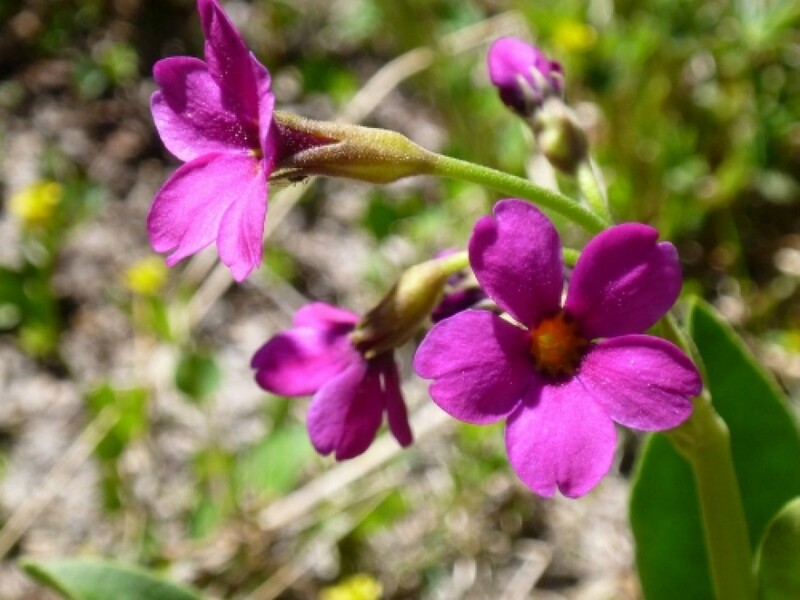 Purple tints are caused by manganese oxide. 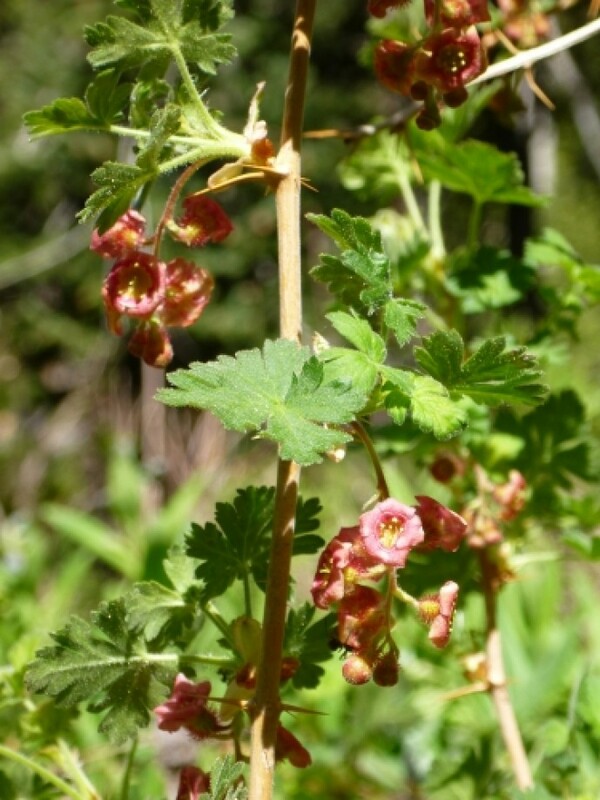 See Cedar Breaks after a rain storm when the colors are brilliant.13 – The BristleconeThe bristlecone will make everyone feel young! 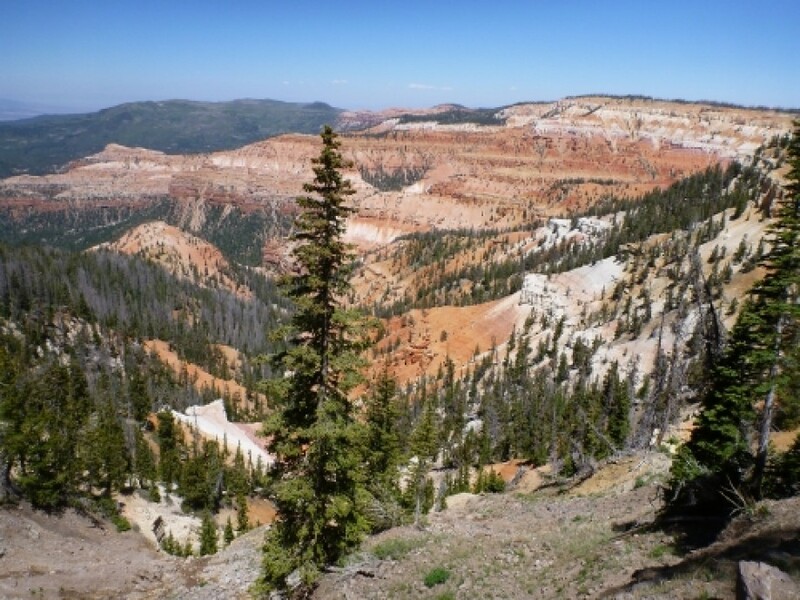 The oldest bristlecone at Cedar Breaks is at least 1650 years old. That tree was a seedling during the Roman Empire and over 1100 years old when Christopher Columbus sailed. 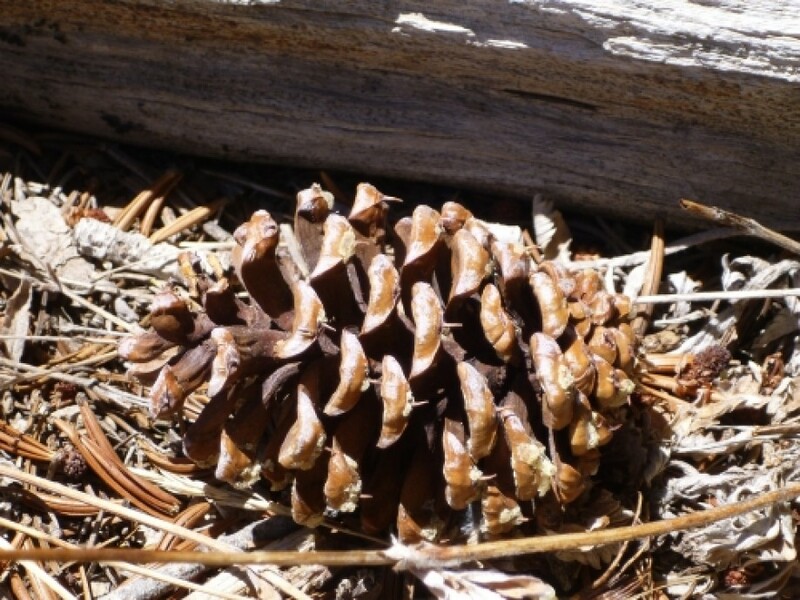 The oldest bristlecones, found in California and Nevada have been alive for over 4600 years. 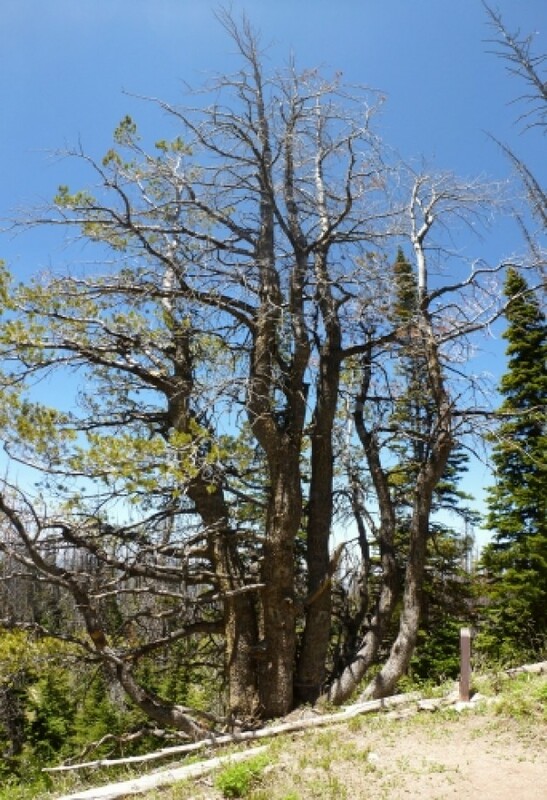 These magnificent trees are only found at high elevations in the Great Basin and the Rocky Mountain.Notice how the needles form bundles, with 5 needles to a “package” or bundle. 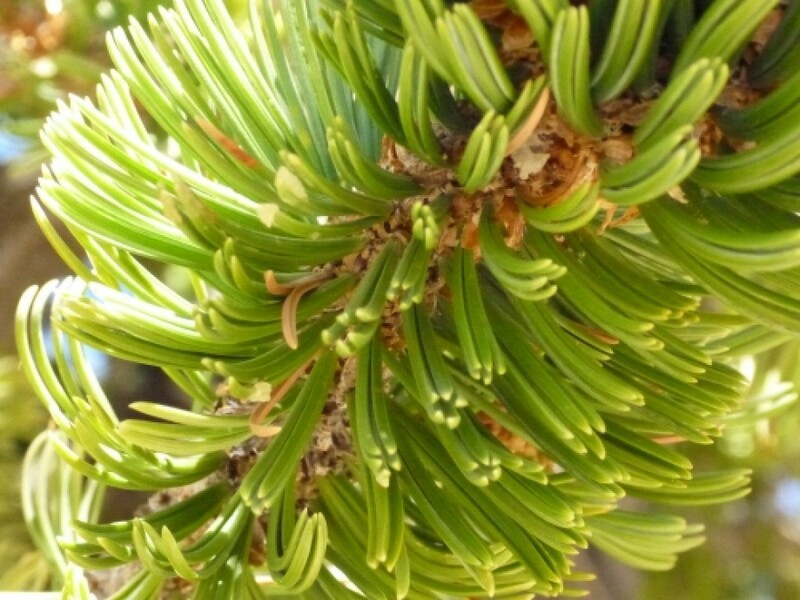 One way to identify pine trees is to remember the saying “pines come in packages.” The arrangement of the needles on the branch of the bristlecone give it a characteristic “bottle brush” appearance. 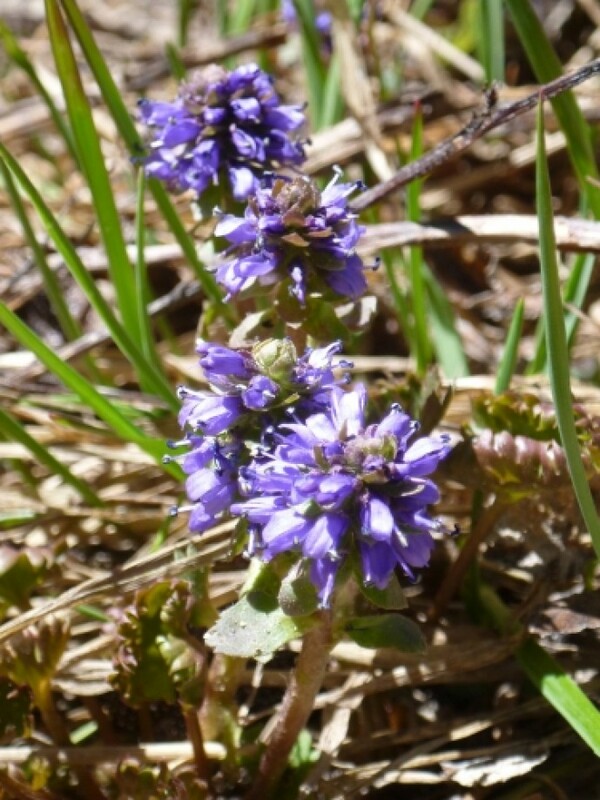 Look for the long curved prickle on the cones that give the tree its name.14 – Seasons of ColorThis meadow is a wildflower garden that changes as the seasons progress. 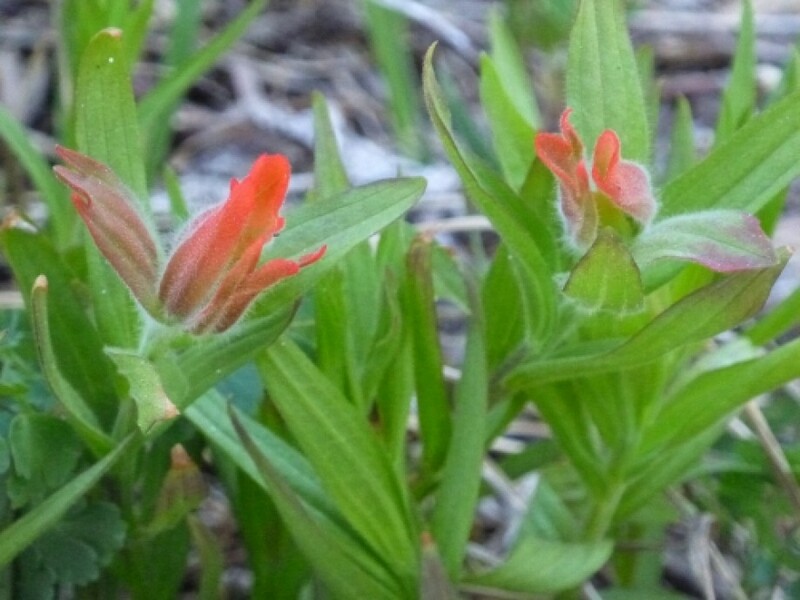 The early summer blooms of larkspur and shooting star give way to July’s penstemon and red paintbrush. The summer ends in a final brilliant display of yellow, gold and purple goldenrods and asters. 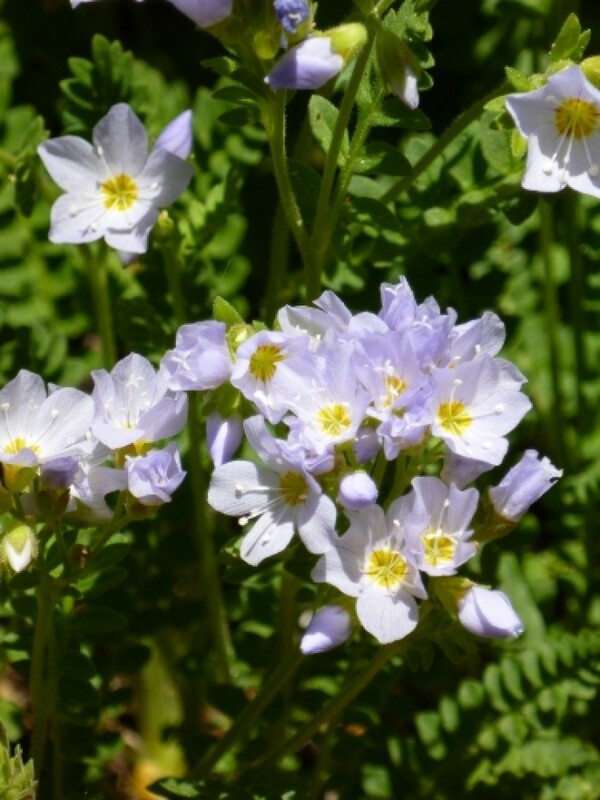 The park rangers at the visitor center will be glad to help you identify these plants.If you pick a flower it will provide you only fleeting pleasure before it wilts and dies. If left to grow it will be there for others to enjoy and will eventually produce seeds to populate the meadows with its offspring.15 – Beetle TracksNotice the patterns on this tree trunk. 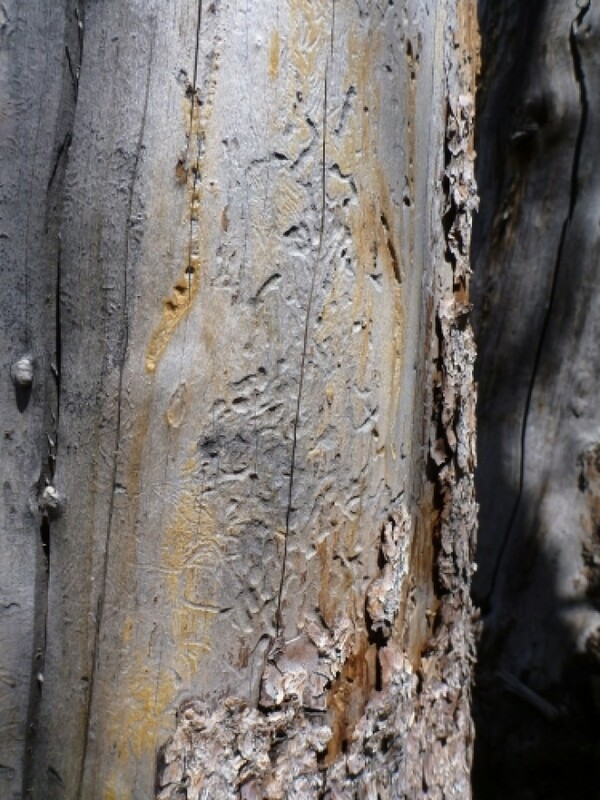 When this tree was alive, beetles bored through the bark and laid eggs. 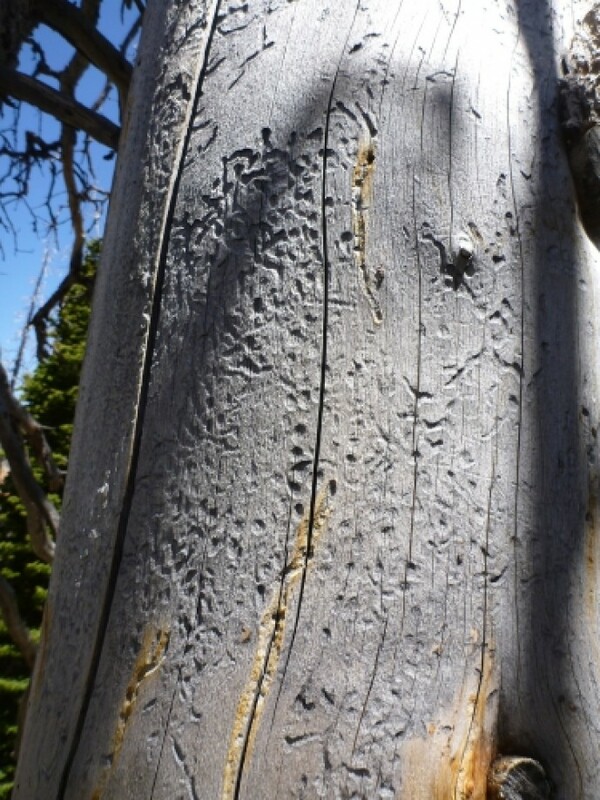 The eggs produced beetle larvae that engraved the wood as they fed on the inner bark. 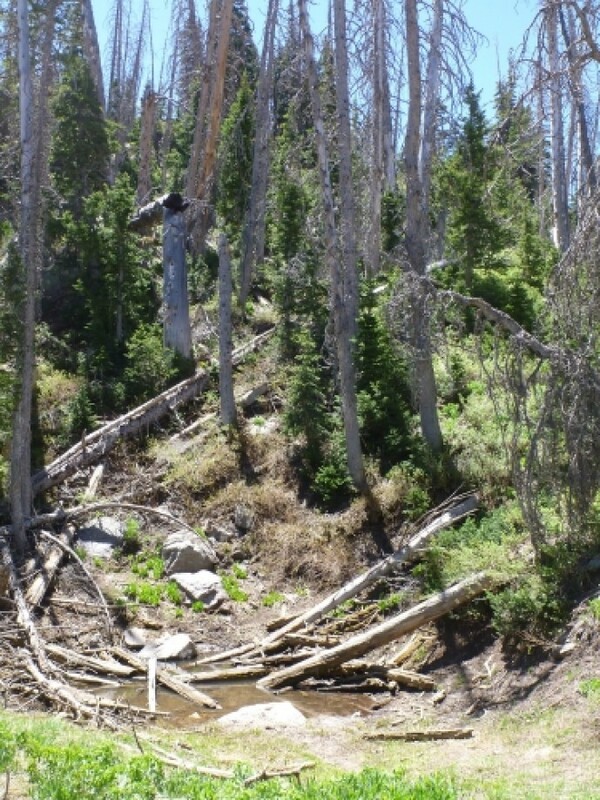 Beetles usually attack old or weakened trees. Birds, such as the northern three-toed woodpecker, help control bark beetles by eating large numbers of beetle larvae. 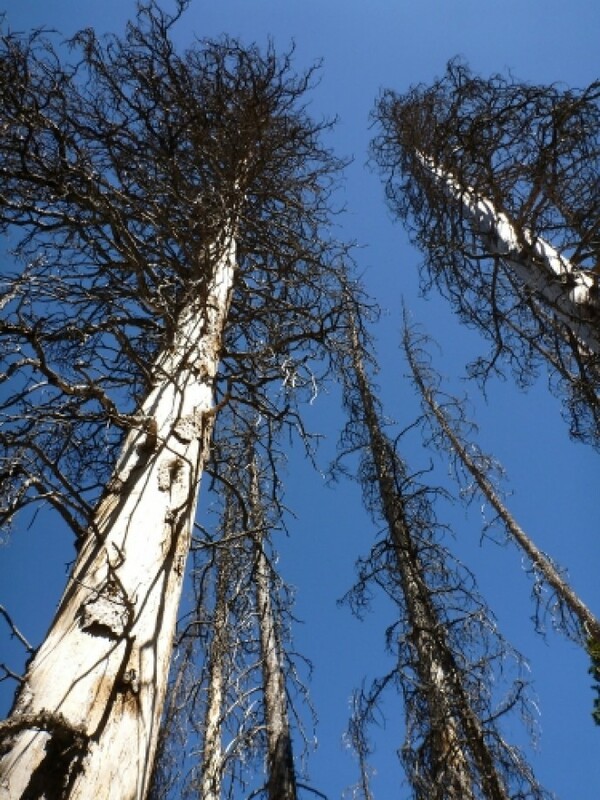 But when beetle epidemics occur, even healthy trees may be killed. 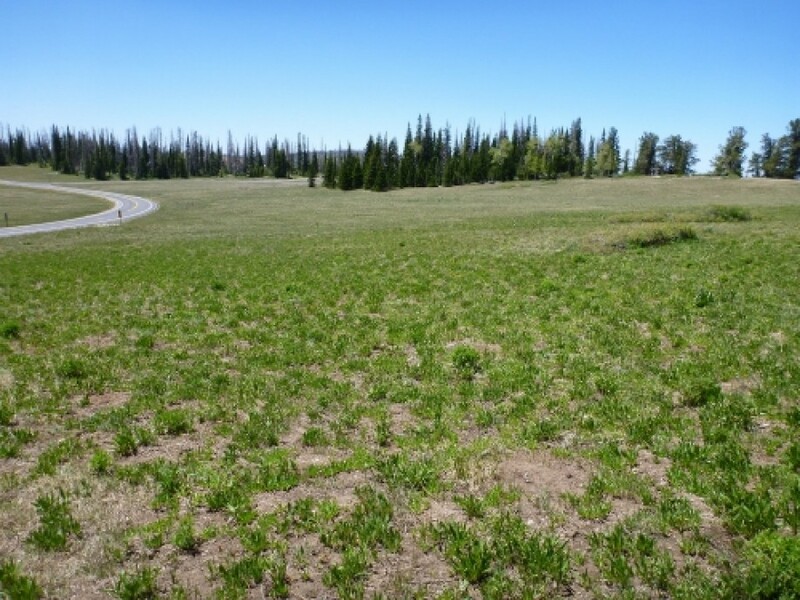 In this area you can see many trees that died during a recent outbreak of spruce beetles.16 – Pocket GophersCan you find any loose ridges of dirt in this meadow? In winter pocket gophers push the dirt up into the snow as they dig out their underground burrows. When the snow melts these dirt ridges are left on the ground. 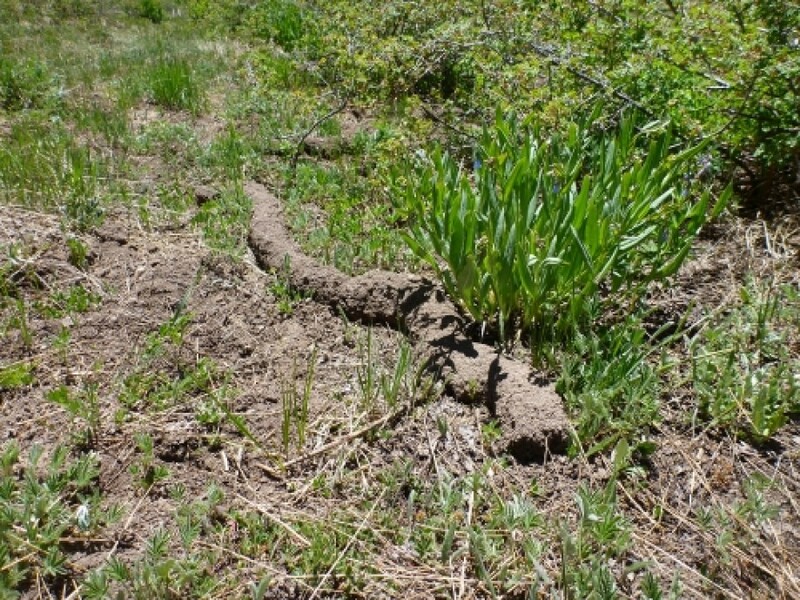 Although they may be considered pests in your backyard, pocket gophers are beneficial here because they till the soil.Pocket gophers spend most of their lives underground. Their front claws are large and curved for efficient digging. 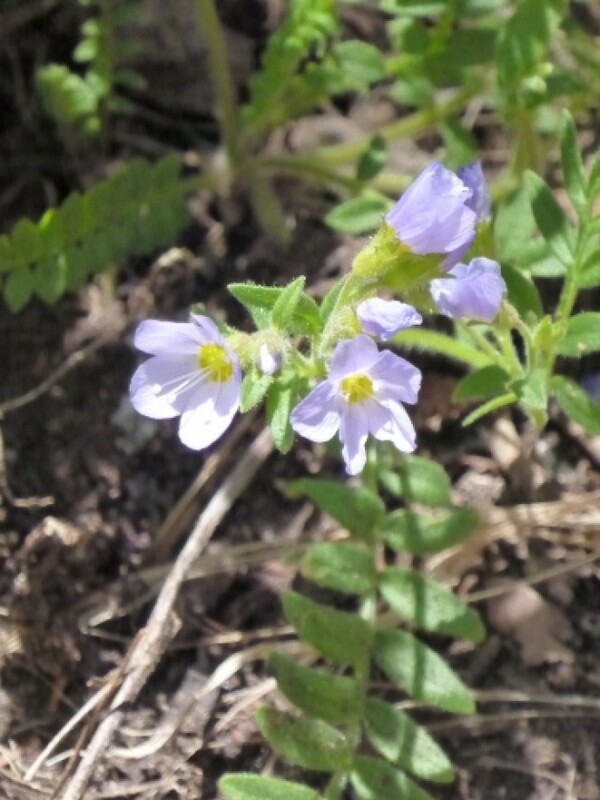 As they dig through the soil, they eat plant roots. 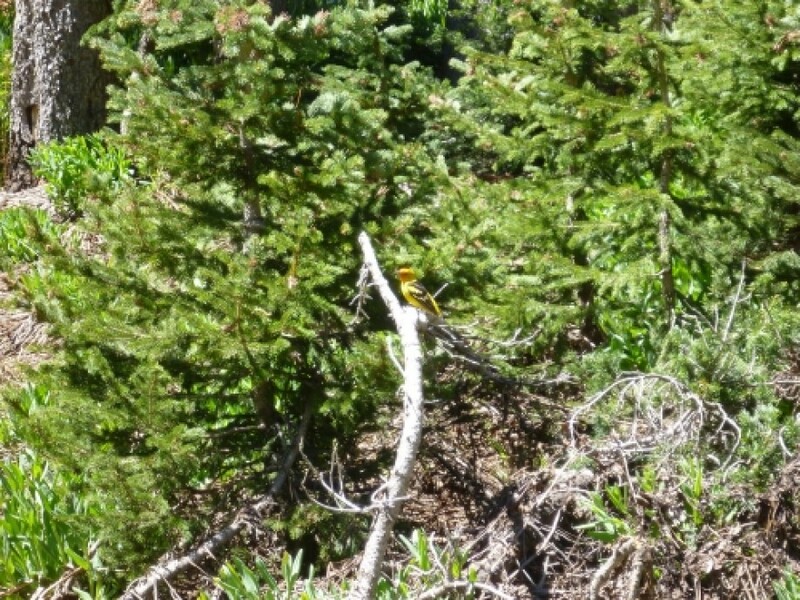 They often carry extra food along with them in their fur-lined cheek pouches or “pockets.”17 – Quaking AspenThe white-barked trees in front of you are quaking aspens. 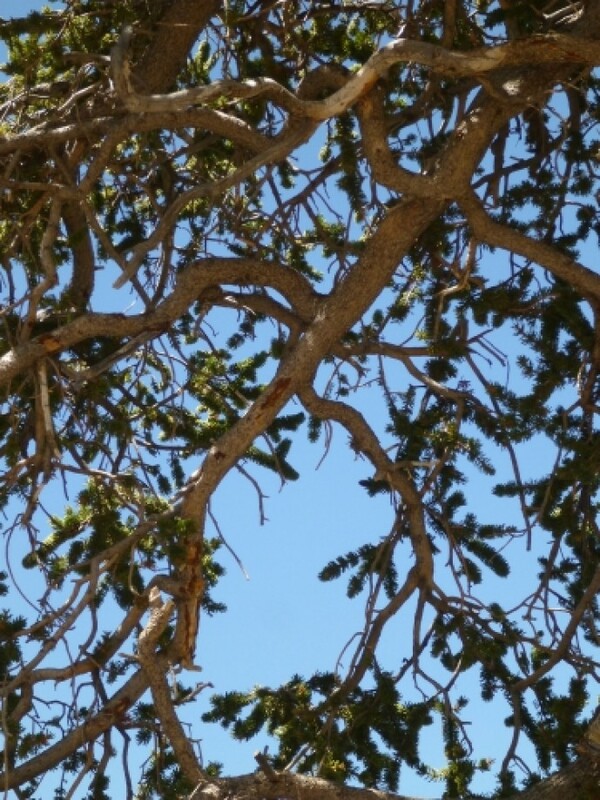 These trees get their name from the way their leaves shake in the wind. 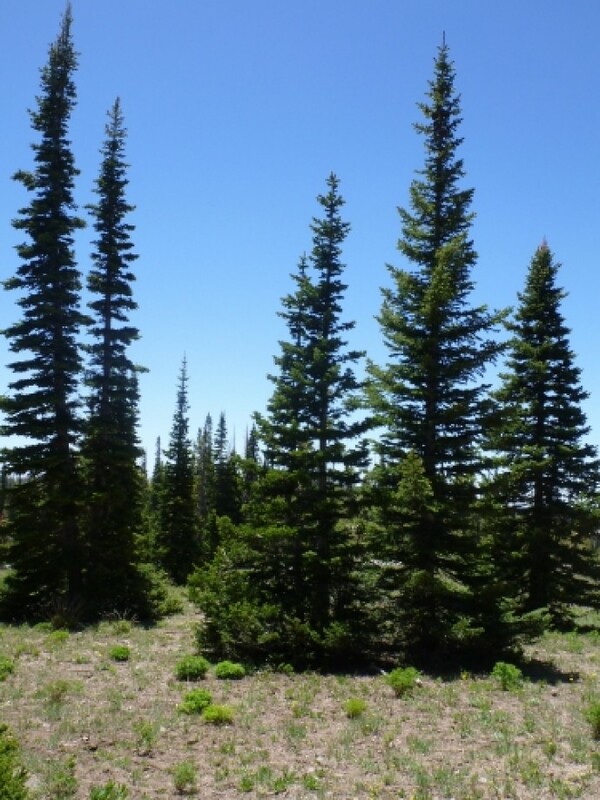 Long flattened stems cause the leaves to tremble in the slightest breeze.Notice the spruce and fir trees growing between the aspens. 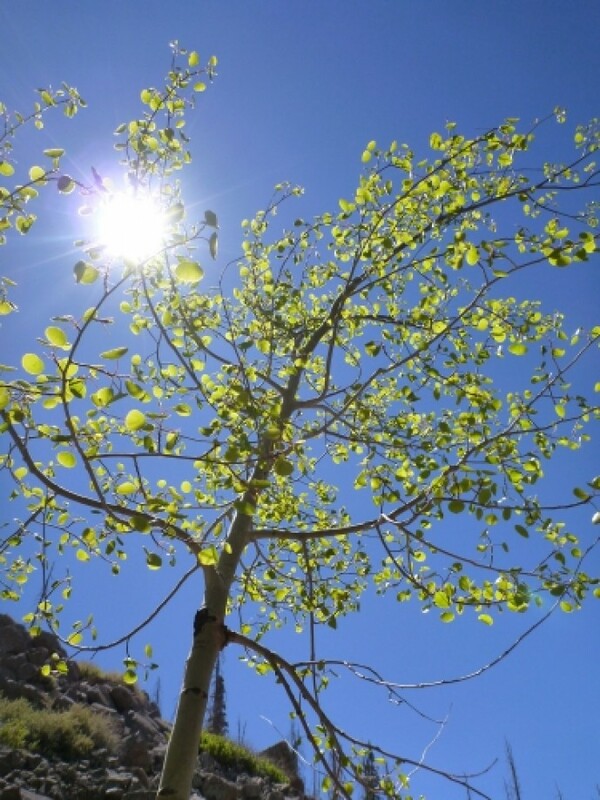 Aspens need sunshine. 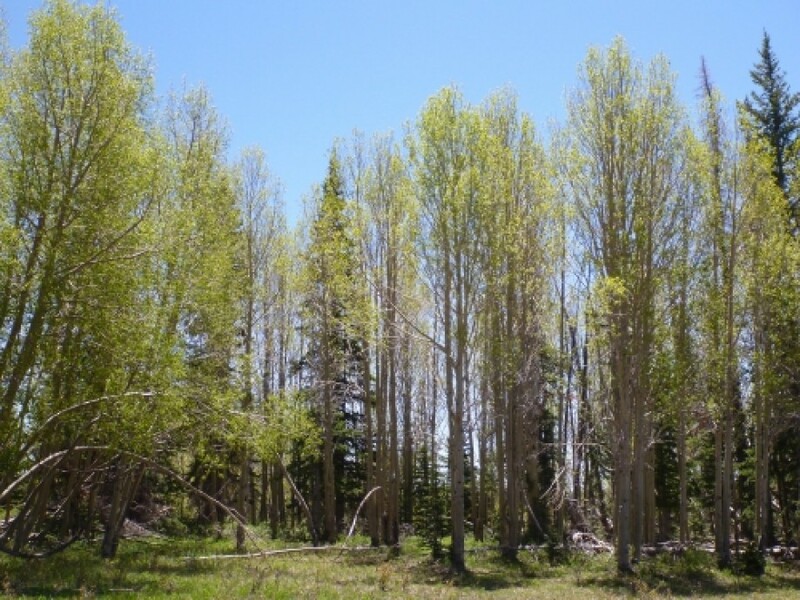 As the aspen stand matures, it creates a condition that its own seedlings cannot tolerate – shade. 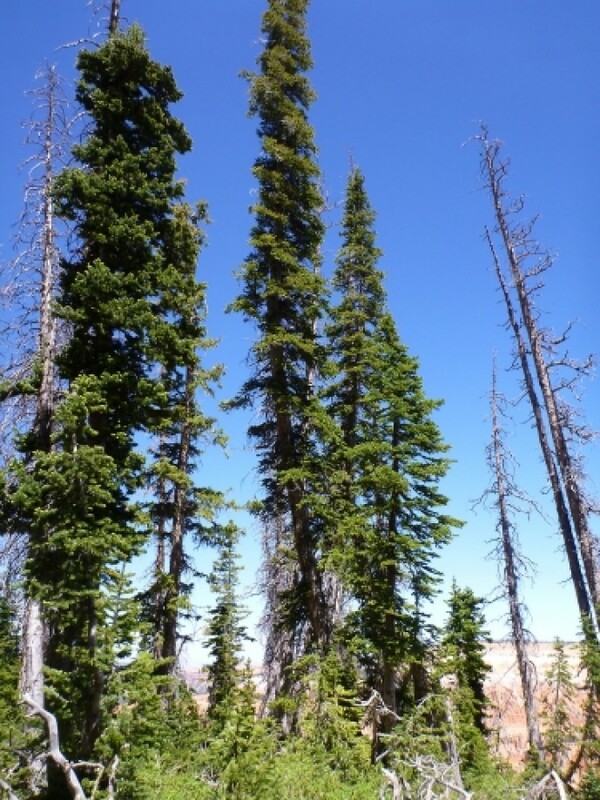 Young Engelmann spruce and subalpine fir, however, thrive in shade, so they “invade” the aspen grove. 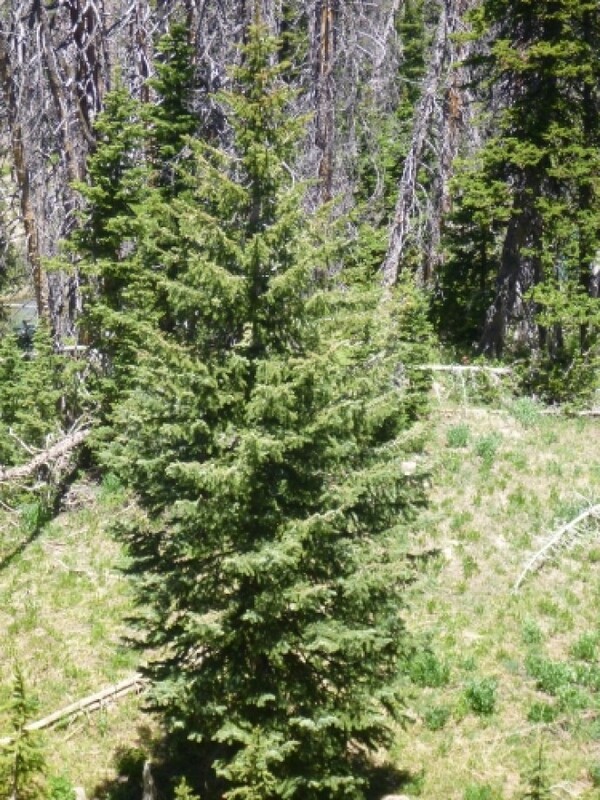 Eventually, spruce and fir will be the dominant trees here.18 – Lightning TreeThe large Engelmann spruce in front of you was hit by lightning in 1986, causing a thick strip of bark to peel off. 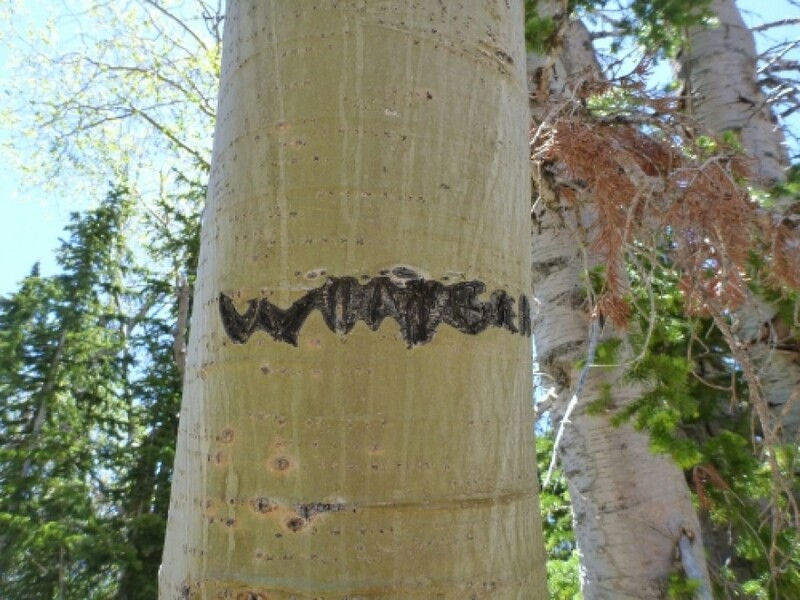 Lightning may set trees on fire or make them explode by heating the tree sap causing it to turn suddenly into steam.Some lightning struck trees survive, but this tree’s wounds did not heal. Insects and disease attacked the damaged wood and the tree eventually died. 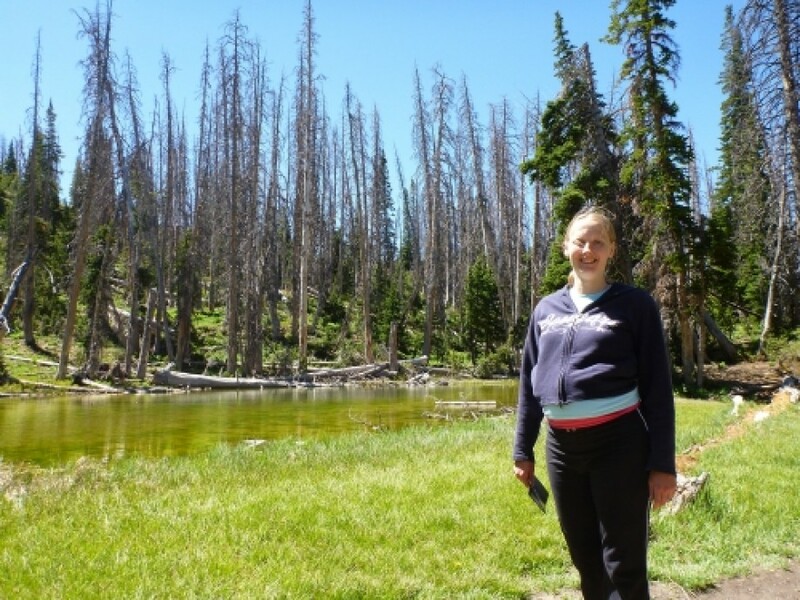 Some day this tree will fall and one of the surrounding smaller trees will replace it.High mountain lightning storms in the summer are a common danger to trees and people. Seek shelter in a building or your car. 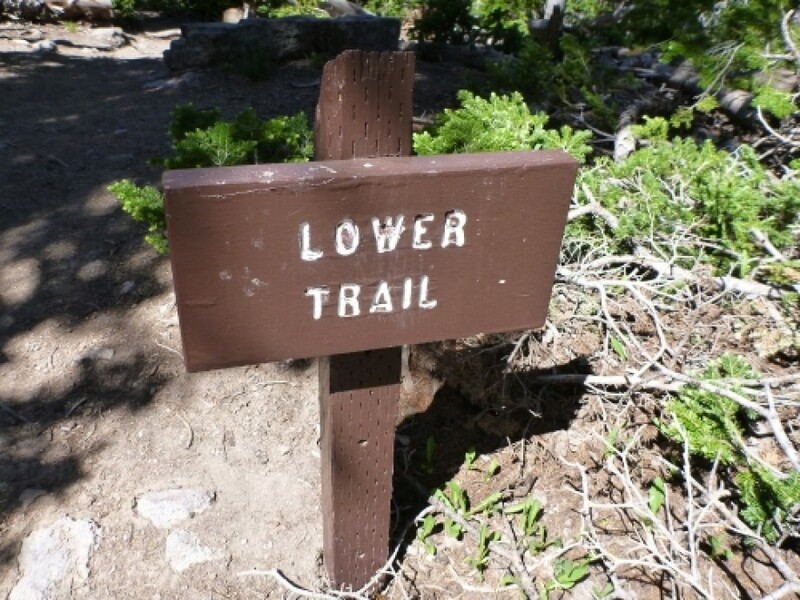 Do not stand under trees or on exposed viewpoints during a thunderstorm.19 – Tread LightlyNational Parks and Monuments protect plants, animals, rocks and everything else that can be found within their boundaries. 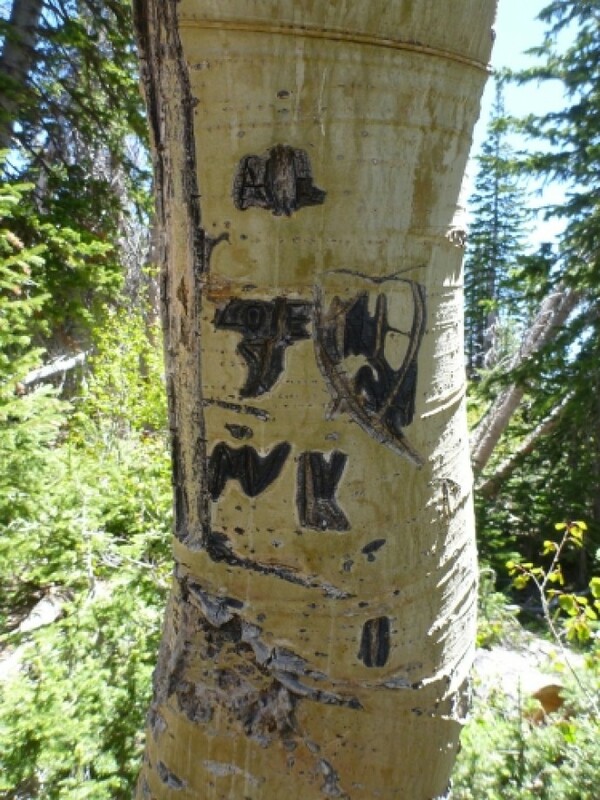 Carving initials onto trees, such as the quaking aspen in front of you, or even such seemingly harmless activities as picking a flower or collecting a rock, diminishes the park experience for visitors yet to come. 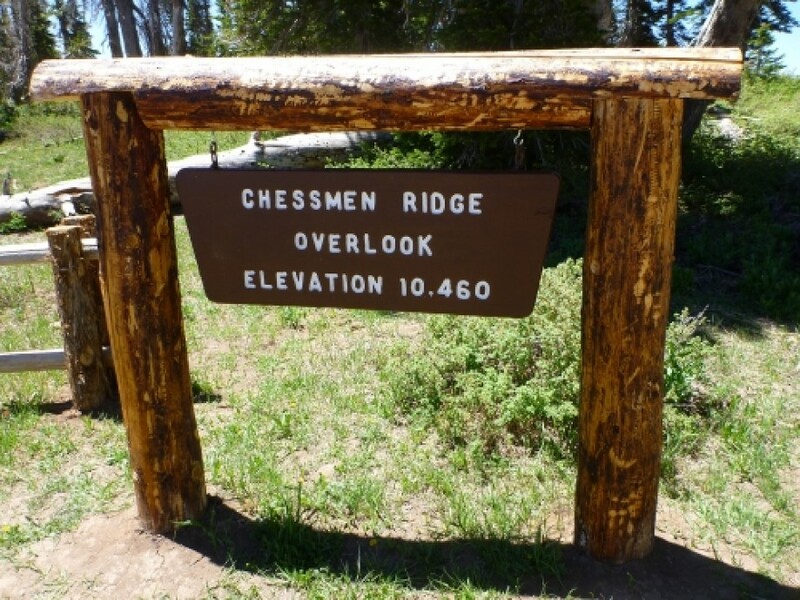 Several hundred thousand people visit Cedar Breaks each year to view the natural beauty here. 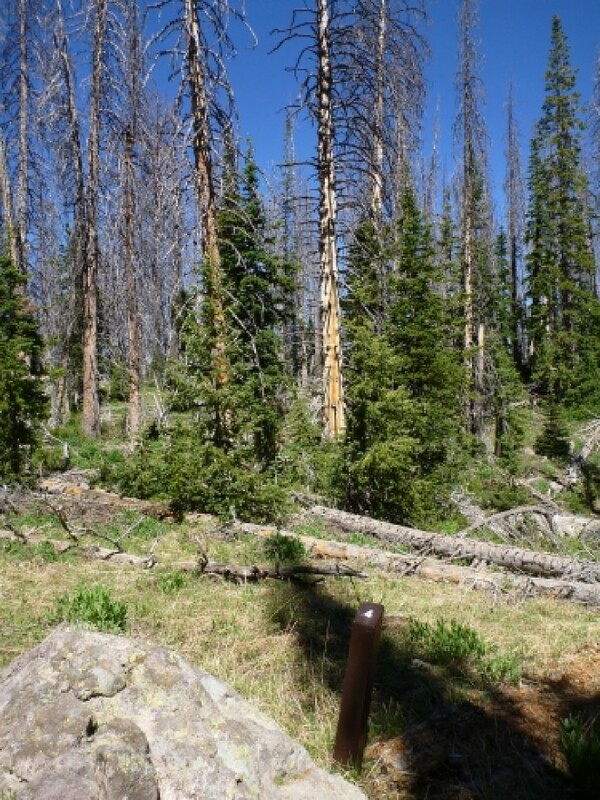 Tread lightly and presence this park for all to enjoy.20 – Fir or Spruce?The two most common trees in this forest are subalpine fir and Engelmann spruce.The tree behind the numbered post is an Engelmann spruce. 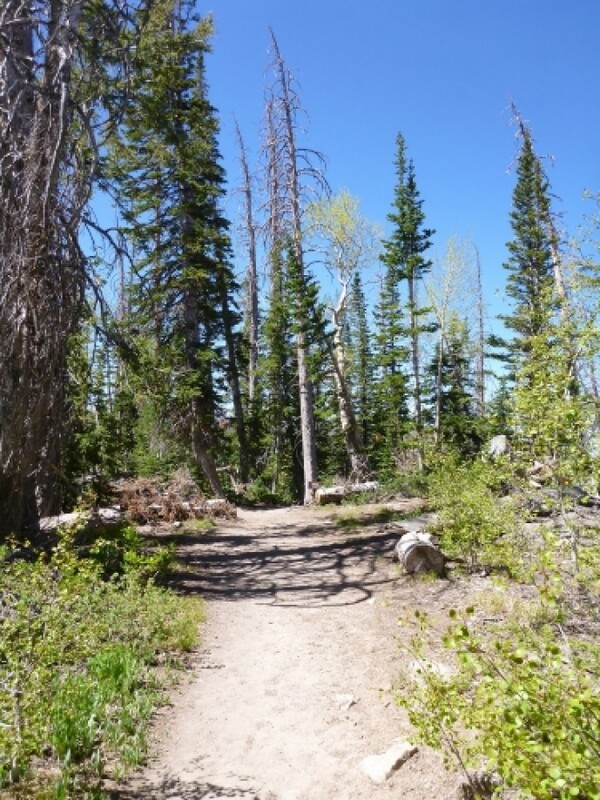 On the other side of the trail is a subalpine fir. Notice the differences in the bark of the two trees. Not examine the needles and cones of each tree. 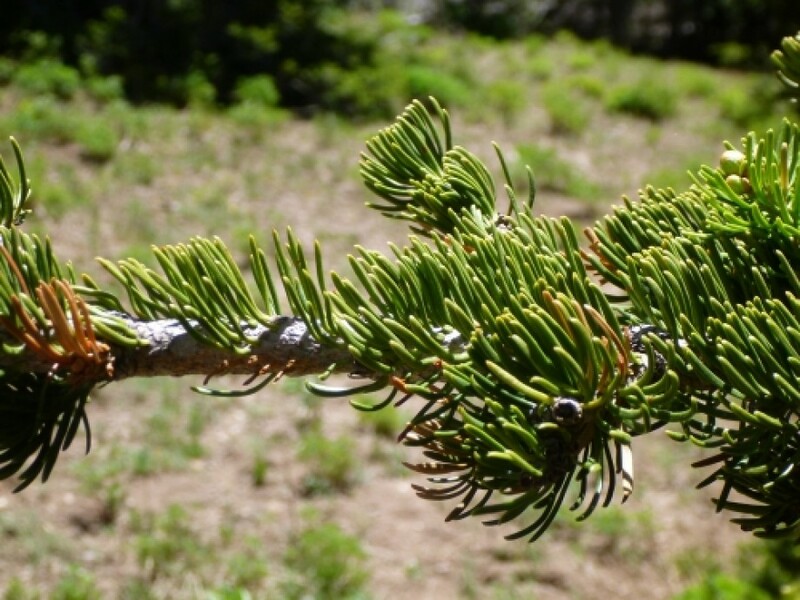 The following characteristics will help you identify each tree:Subalpine fir:Fir needles are flat and flexible. 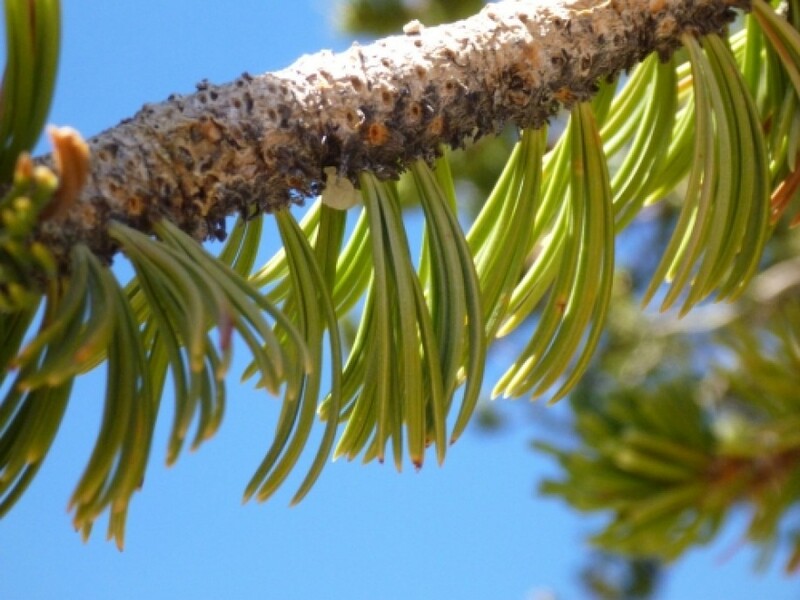 Fir cones stand erect and fall apart while they are still on the tree (you won’t find them on the ground).Engelmann spruce:Spruce needles are sharp and square. 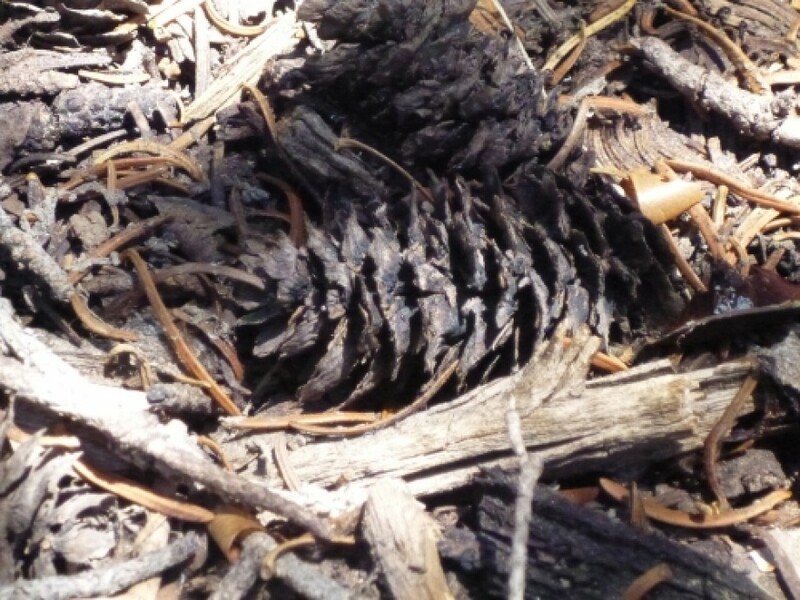 Spruce cones hang downward and fall apart while they are on the ground.Can you remember the distinct features of pine tree needles? 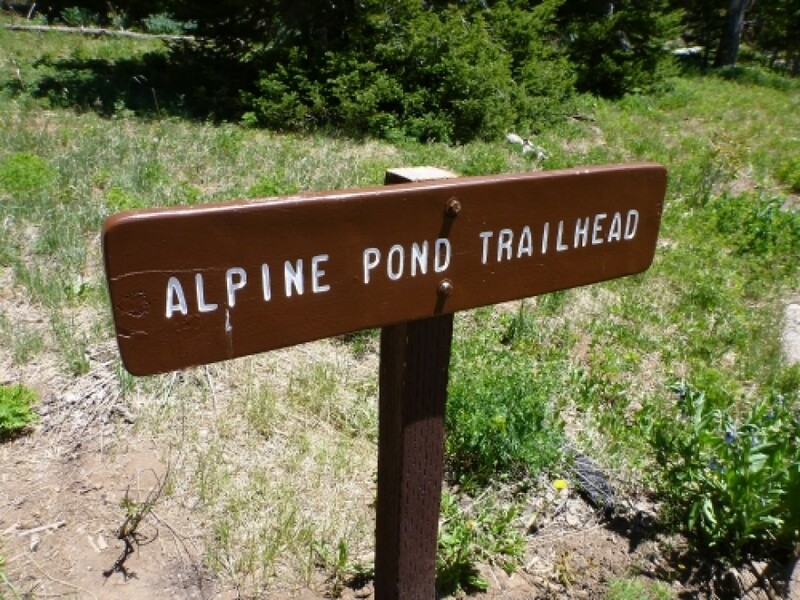 Check Station 13 for a description.21 – Alpine Pond OverlookSit and relax. 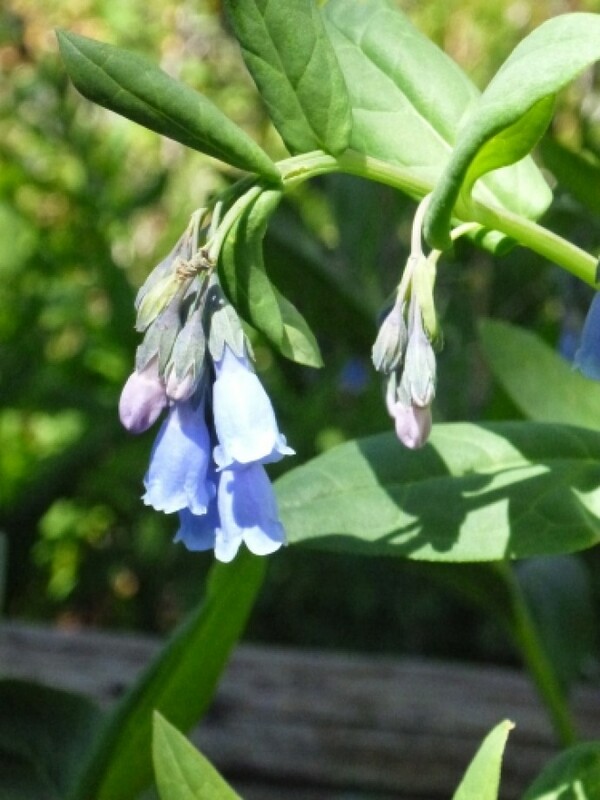 Take several deep breaths and enjoy the aromas of the forest. Listen. 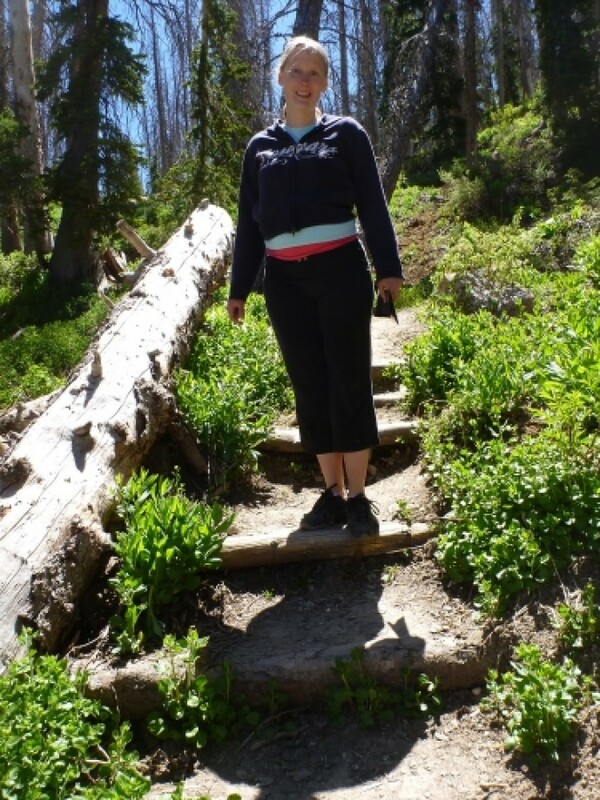 One of the many pleasures of a forest is its sounds. What do you hear? The wind? A bird song? A scolding squirrel? 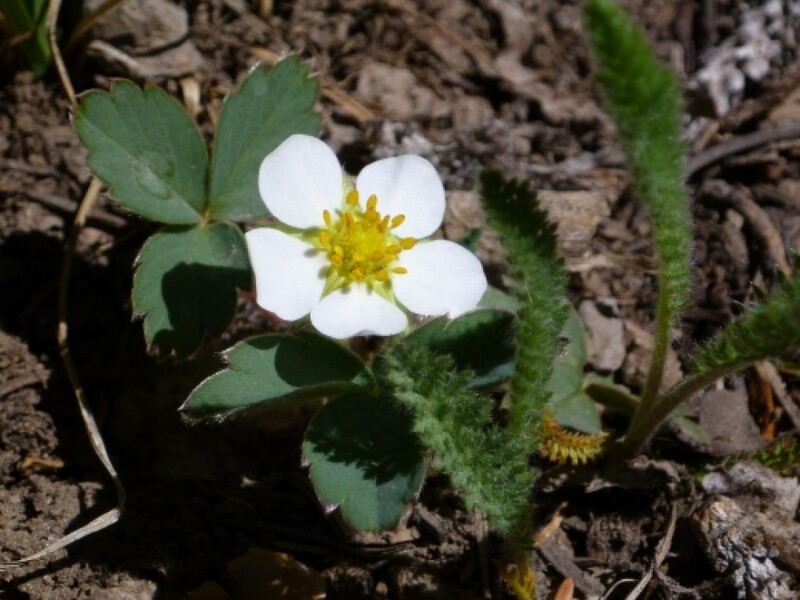 These sounds are clues to what happens daily at Cedar Breaks.Plants and animals live together in communities, just as people do. 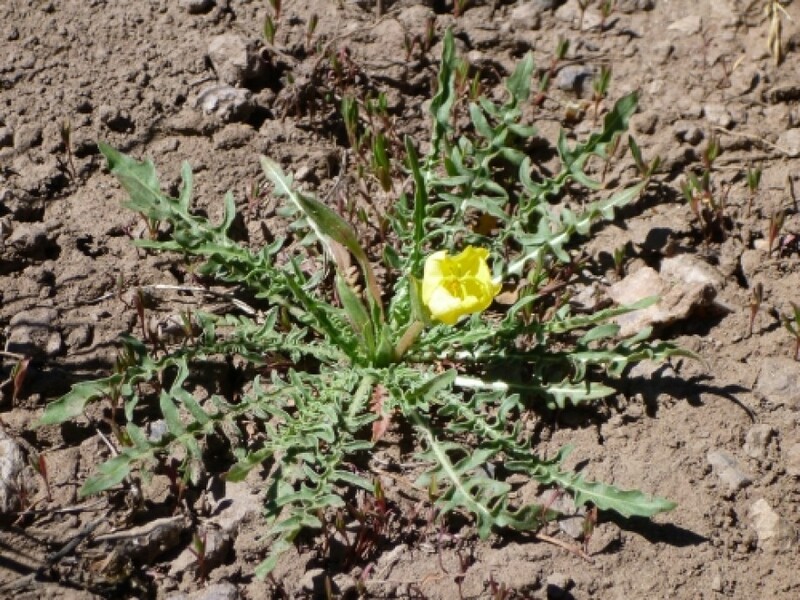 The community you have before you is always changing: rocks are being broken down; one plant is being replaced by another; animals eat the plants… What was this place like 6 months ago? 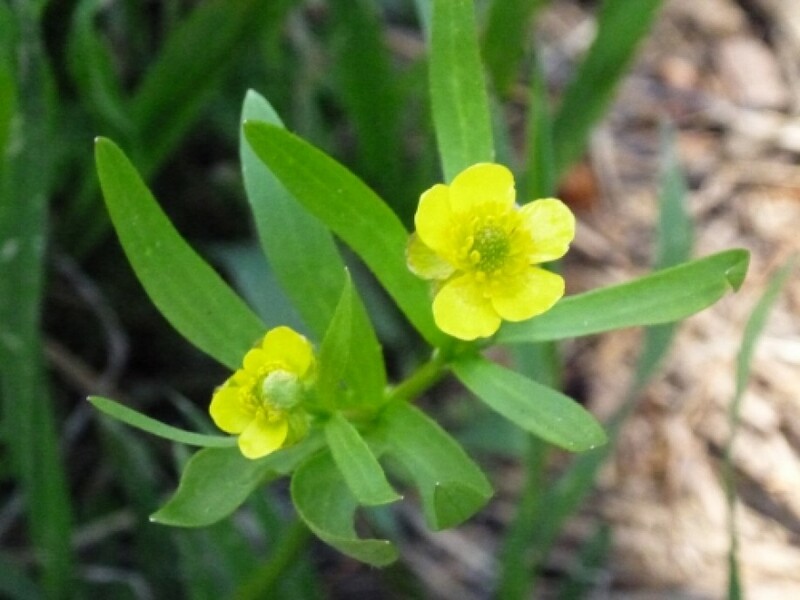 What is in store for the future?22 – Animal SnackersThe plants of the forests and meadows provide food for many animals. Morning and evenings deer often can be seen browsing in the open fields. Yellow-bellied marmots enjoy midday naps in the warm sun after filling up on grasses and wildflowers. 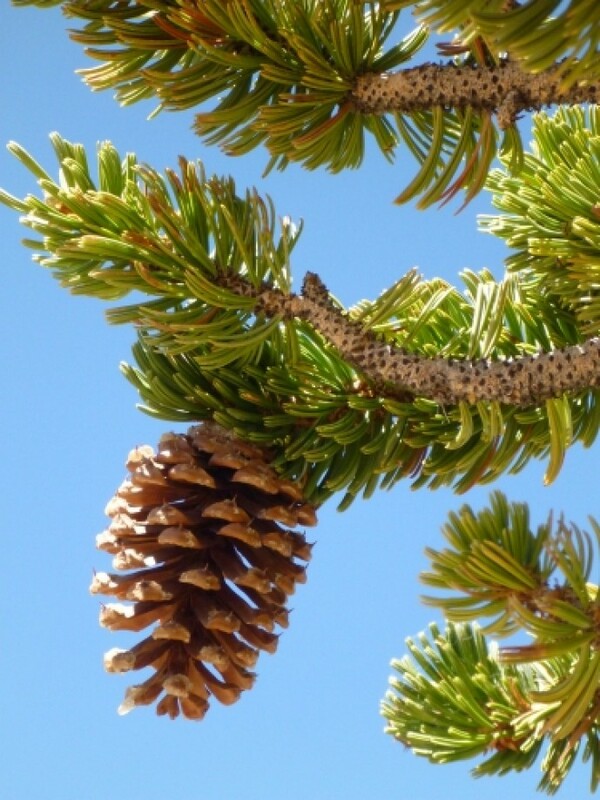 In the tree tops, small red squirrels seek the seed-laden cones of spruce and fir. Chipmunks rush through the short summer storing winter food supplies. And slow moving, sharp-toothed porcupines gnaw the tough inner bark from trees. 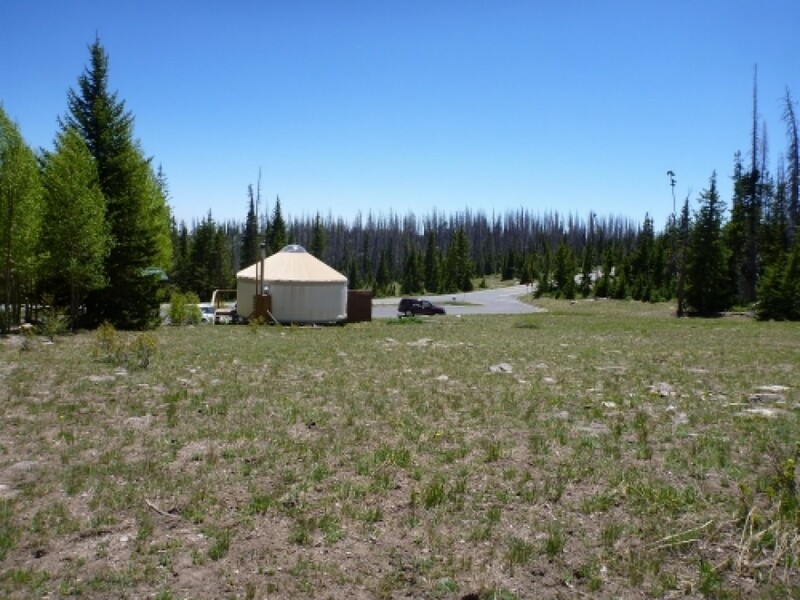 The plant-eating animals, in turn, are food for the predators such as foxes, mountain lions, weasels and badgers that also are part of this system of living things.23 – Limber PineCan you tell the difference between spruce, fir and pine trees? 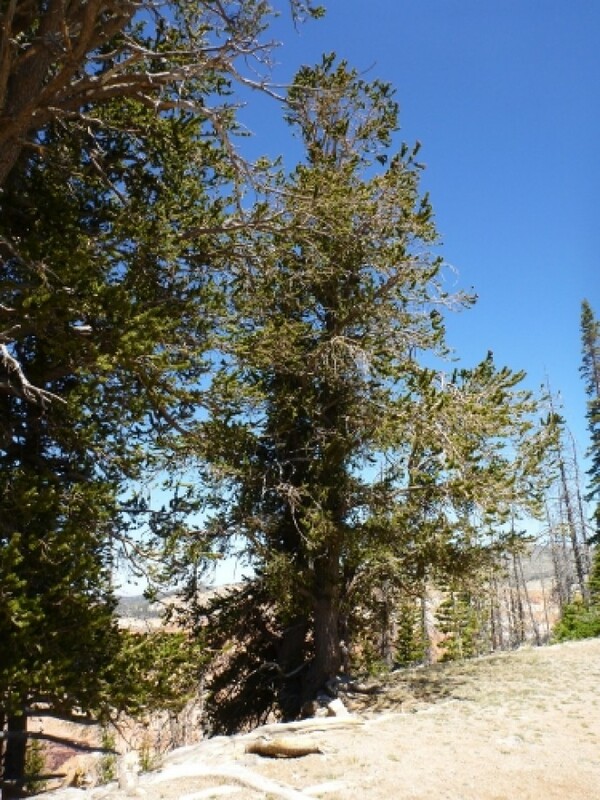 The tree, the limber pine, is closely related to the bristlecone pine found at Station 13. 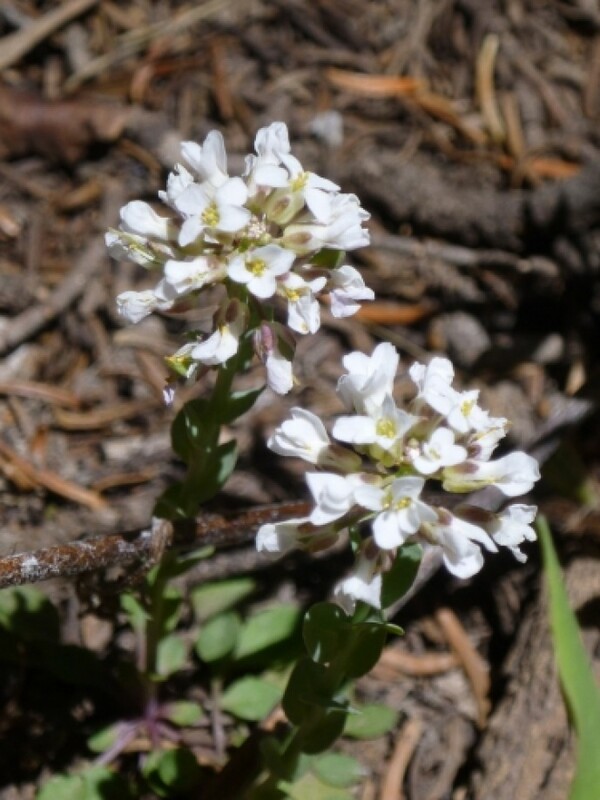 The species name for this tree is flexilis because the branches are very limber or flexible, an important adaptation to prevent breakage from deep snow. 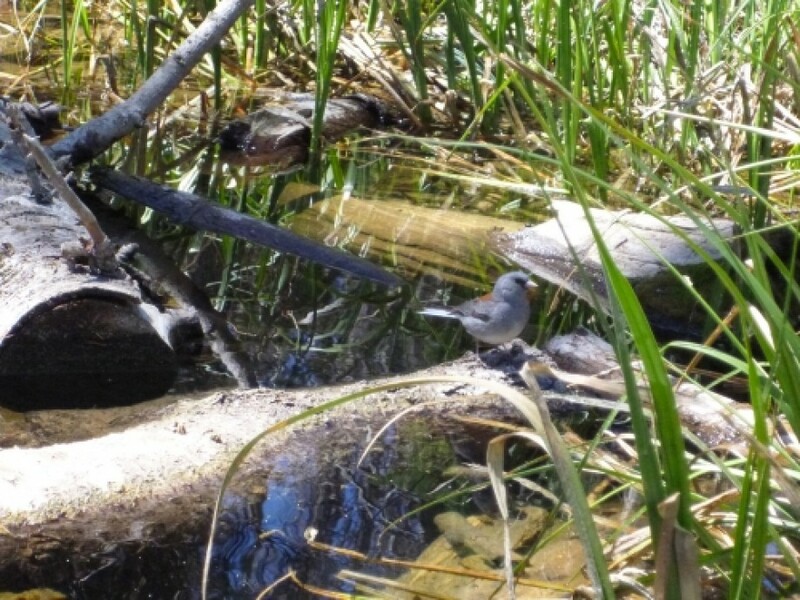 Limber pines share a special relationship with a high mountain bird, the Clark’s nutcracker. Nutcrackers love limber pine seeds and bury them to feed on through the year. 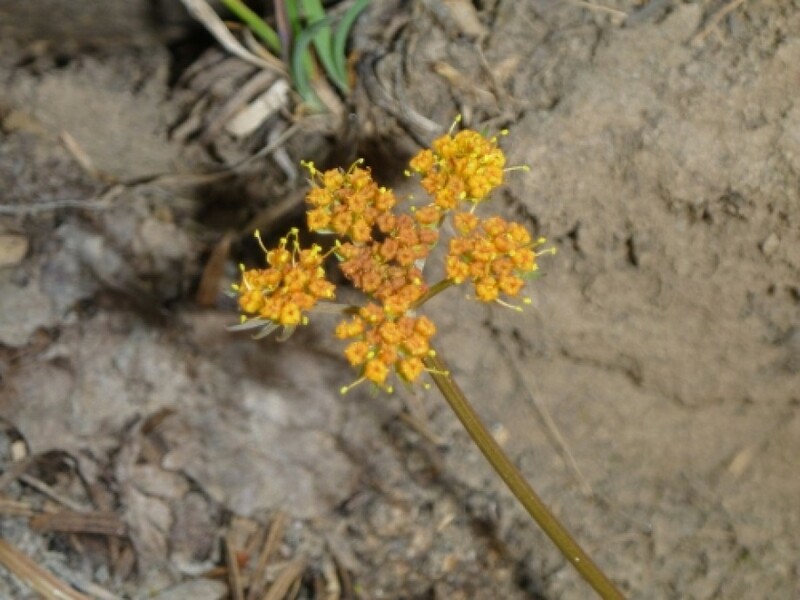 Although the birds find most of their seed caches, they never find them all. 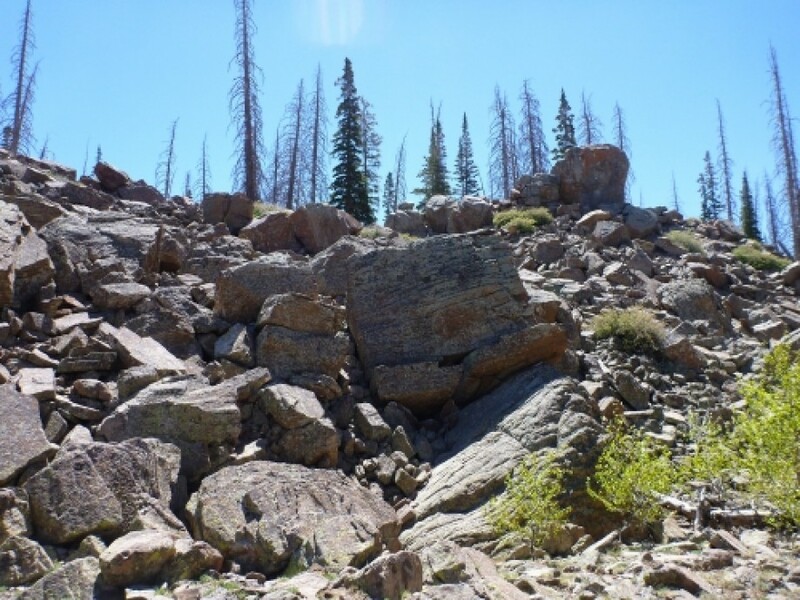 The forgotten pine seeds then grow.24 – Rhyolitic TuffThe rock in front of you is volcanic. 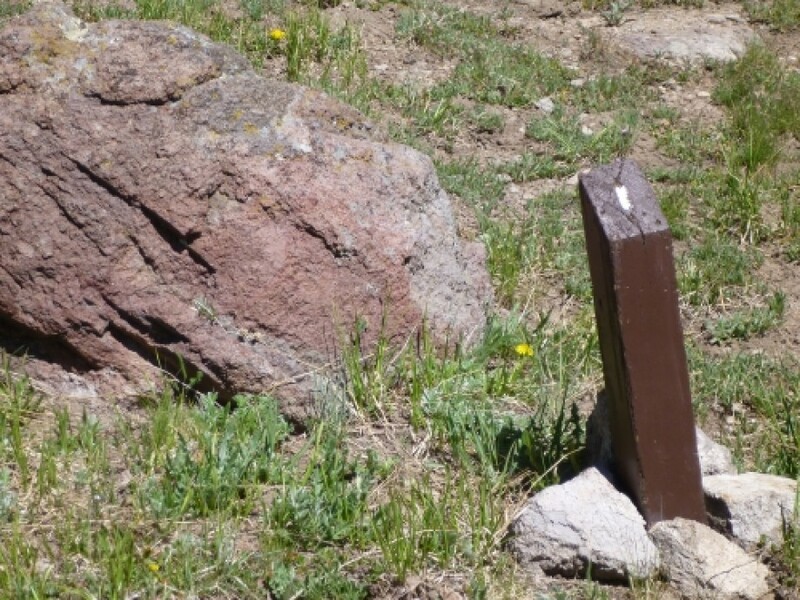 It is the same kind of rock found on Brian Head peak, visible from Station 11. 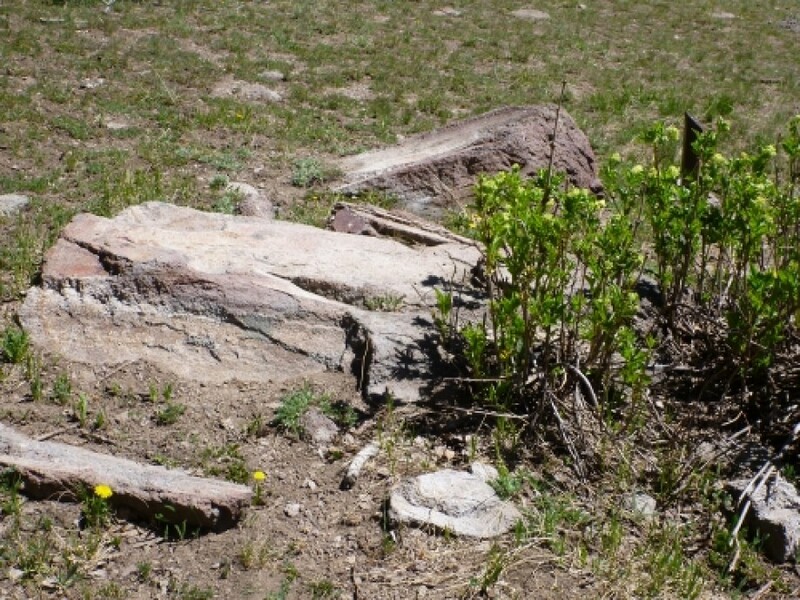 It is also the same type of rock found in several areas of southwestern Utah. 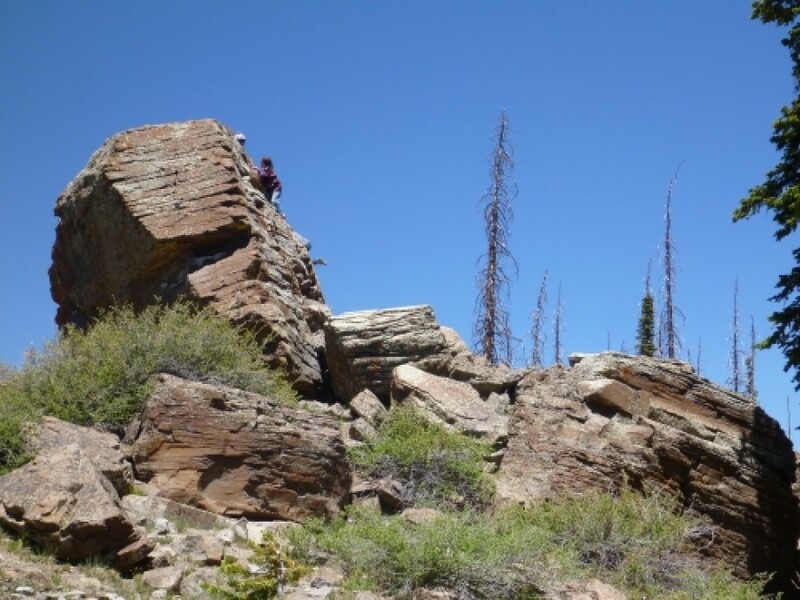 The rock is classified by geologists as a rhyolitic tiff, a rock formed during very explosive volcanic eruptions.You can see layering in the larger boulders. Each layer represents a separate eruption that covered everything around with hot ash, dust, and small bits of rock and molten lava. 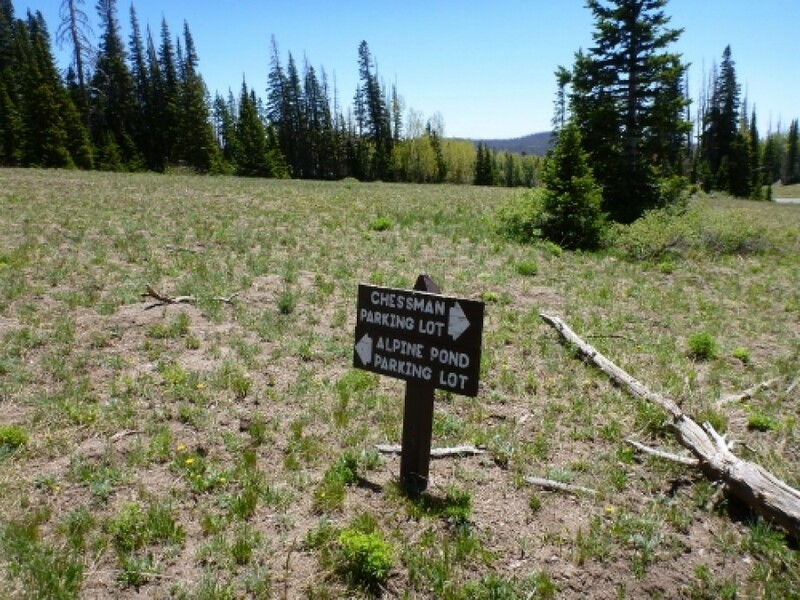 Can you imagine what this area might have looked like when these eruptions occurred?25 – The High LifeYou will soon reach the Alpine Pond parking area. 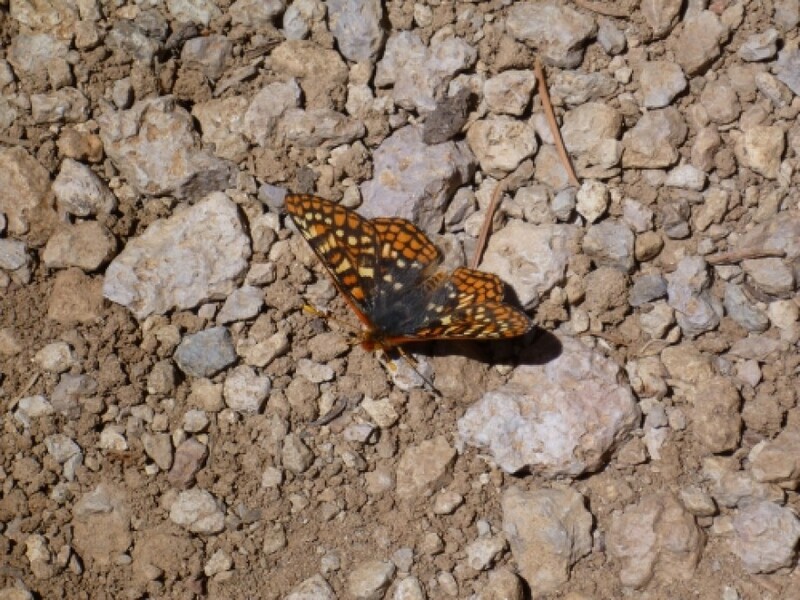 Before you do, stop and look at the forest around you and consider the patterns of nature you have seen. You are one of the most important parts of this pattern. 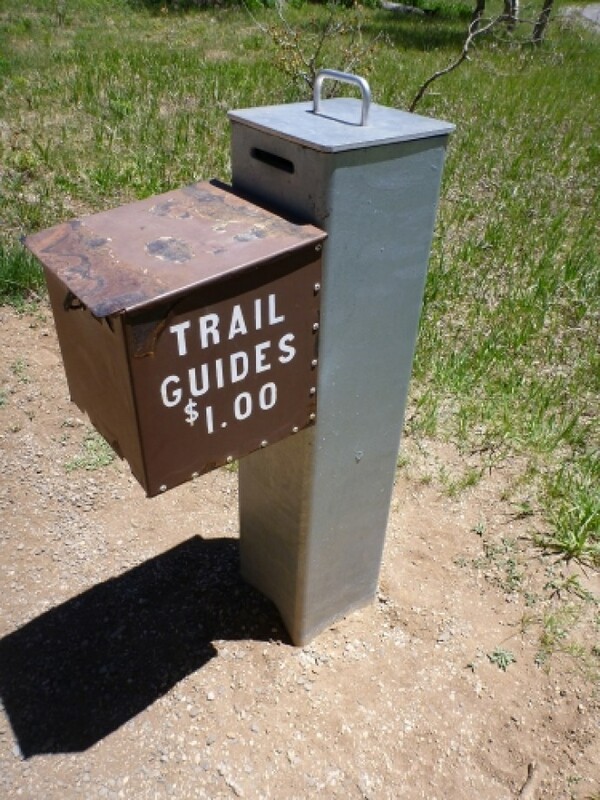 Man’s wise use of the land is a critical factor affecting all life.Please be sure to stop at the visitor center. 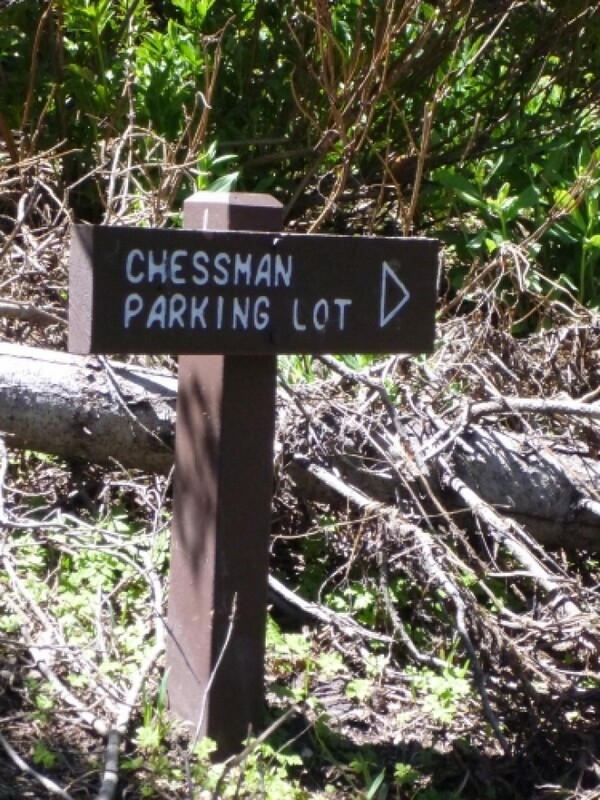 Park rangers are there to answer your questions.